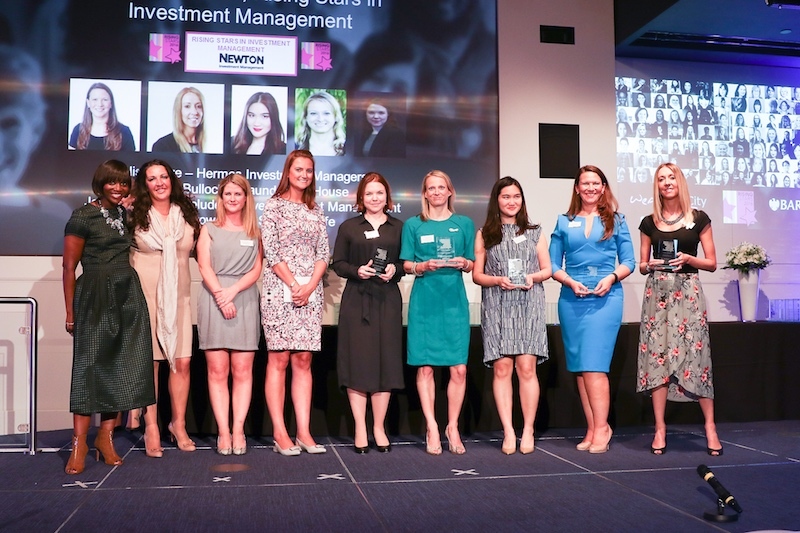 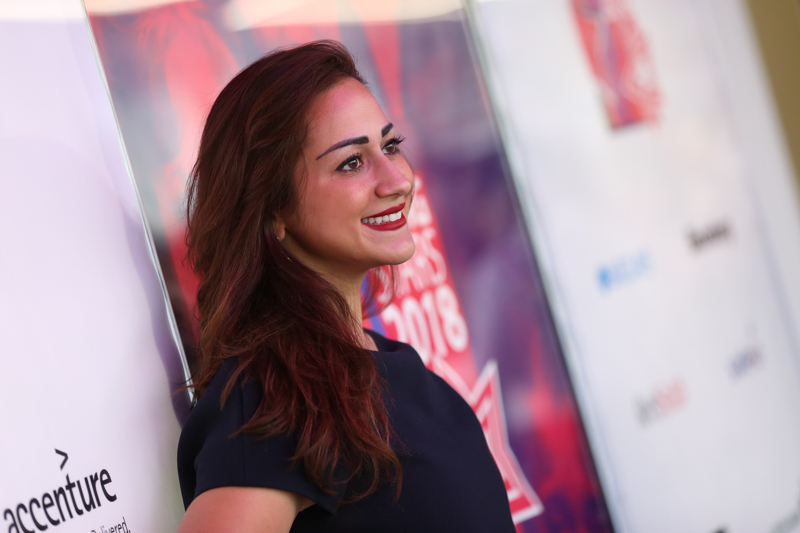 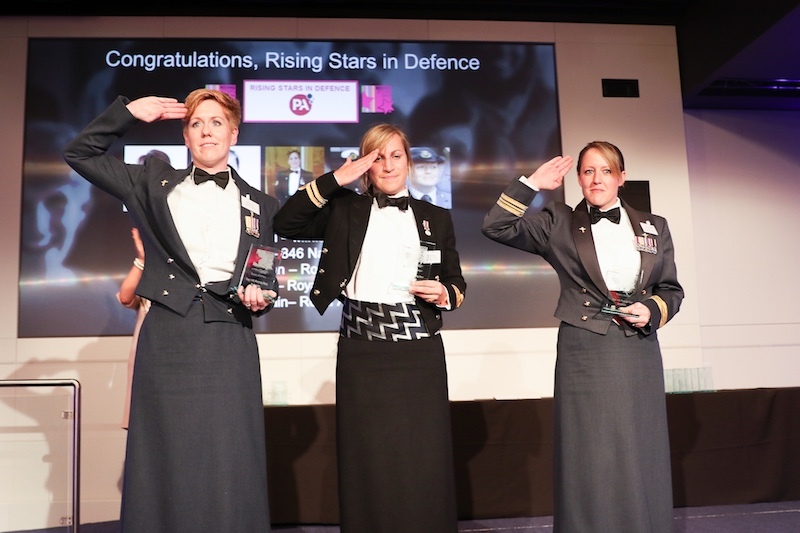 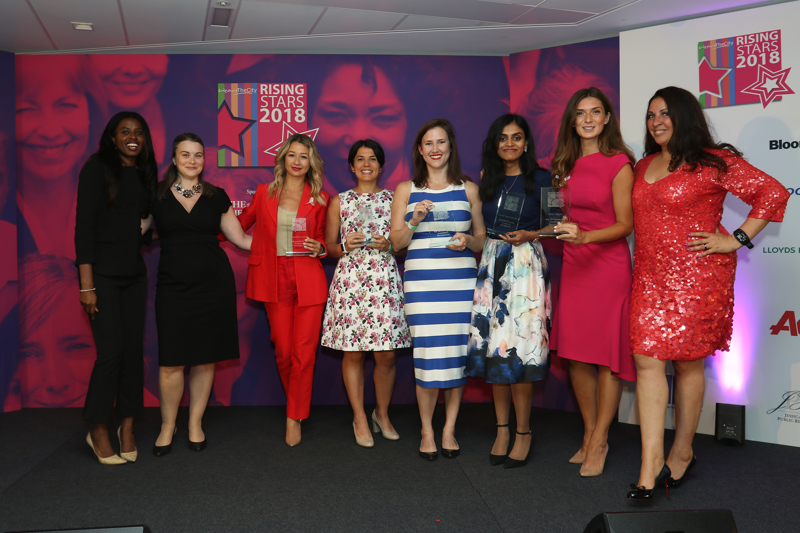 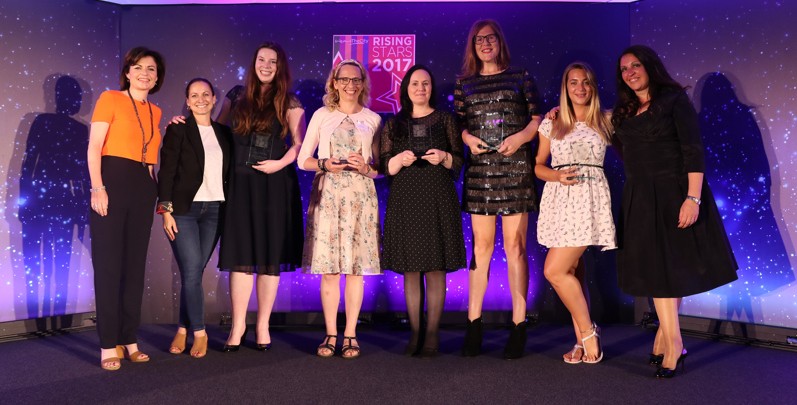 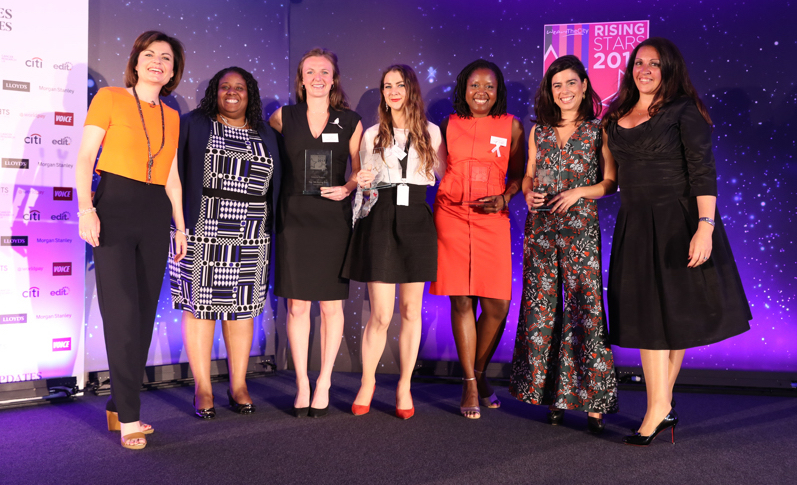 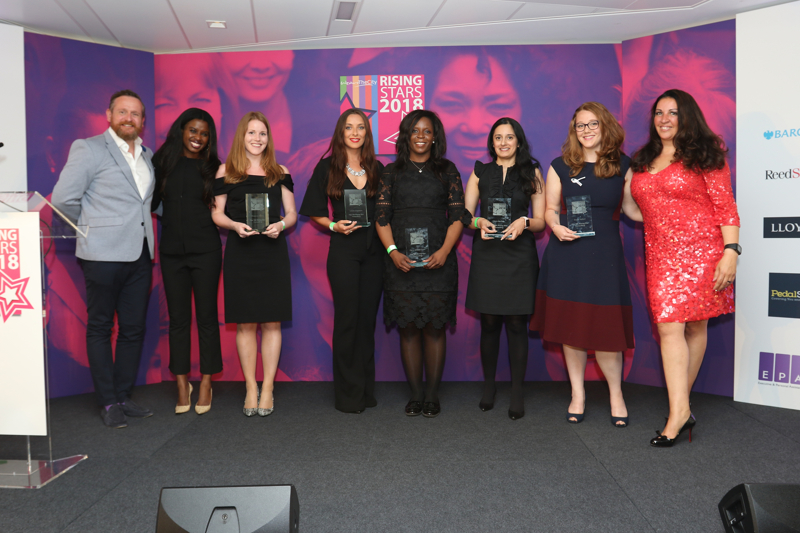 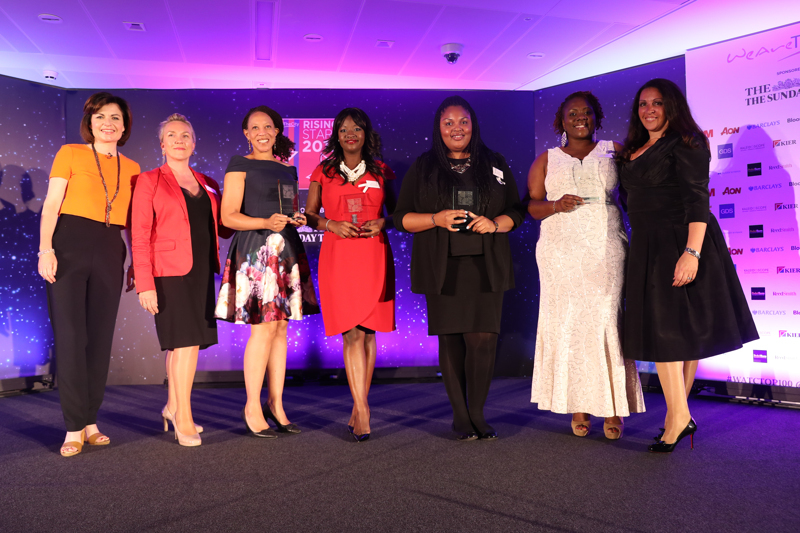 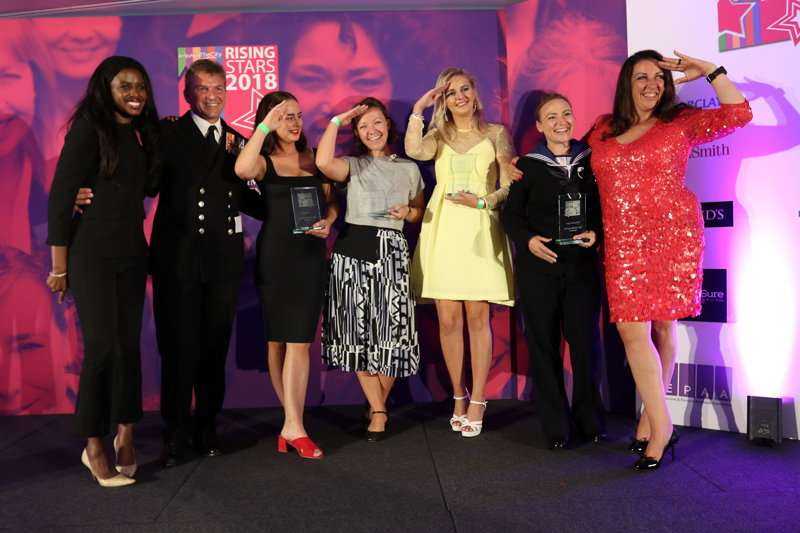 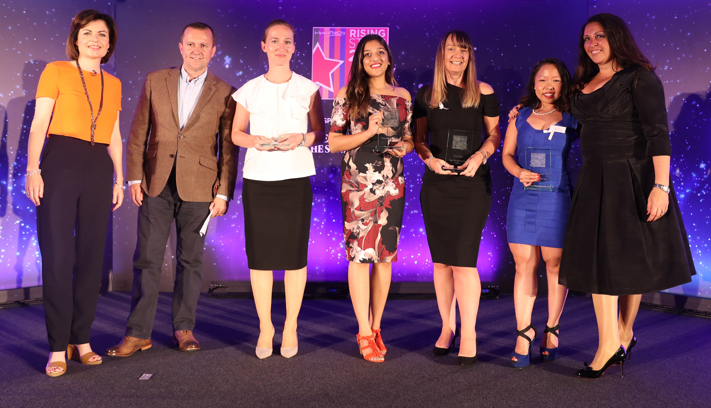 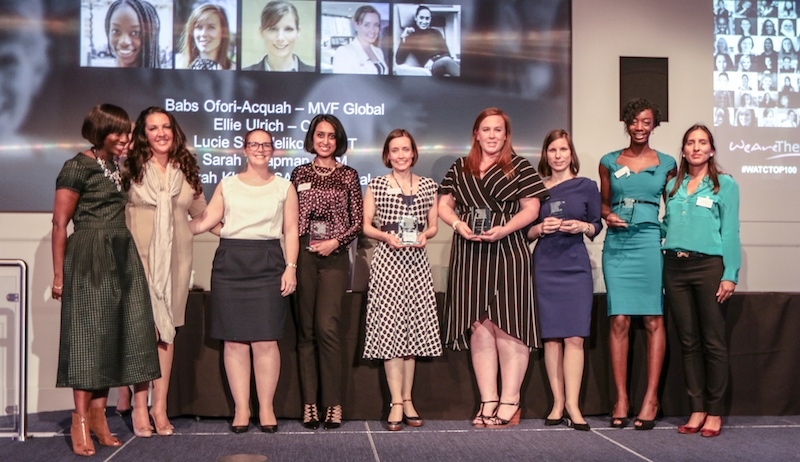 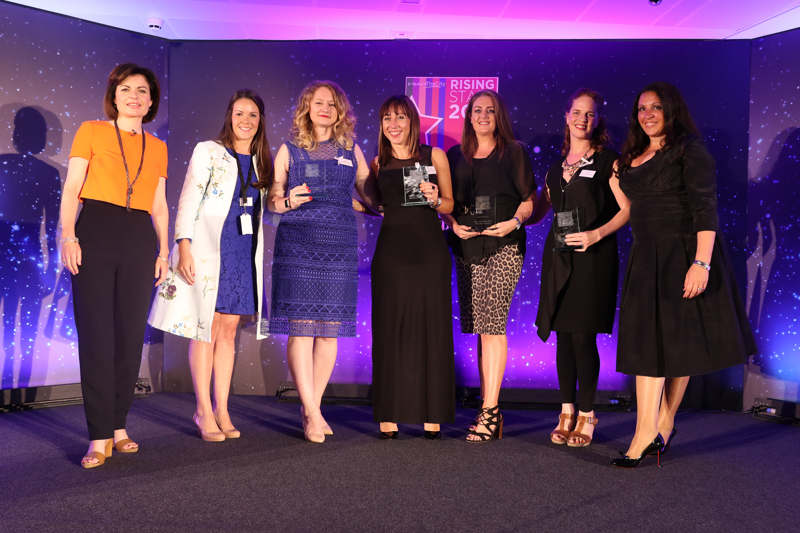 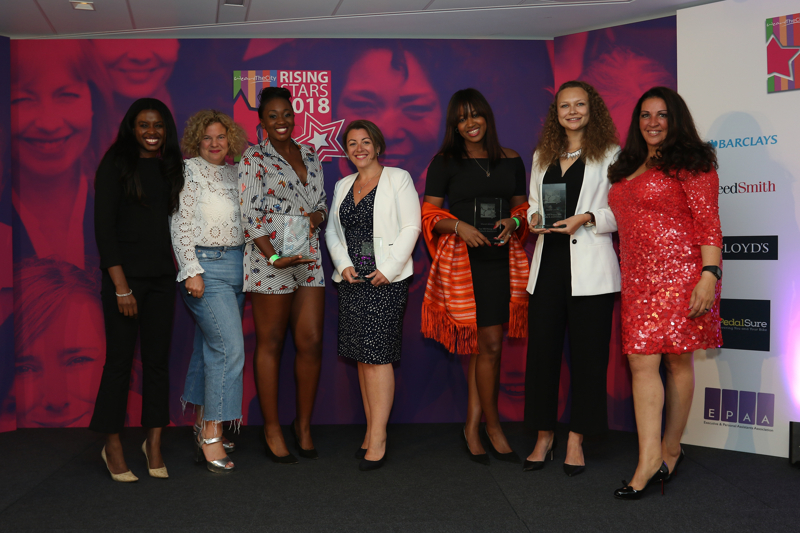 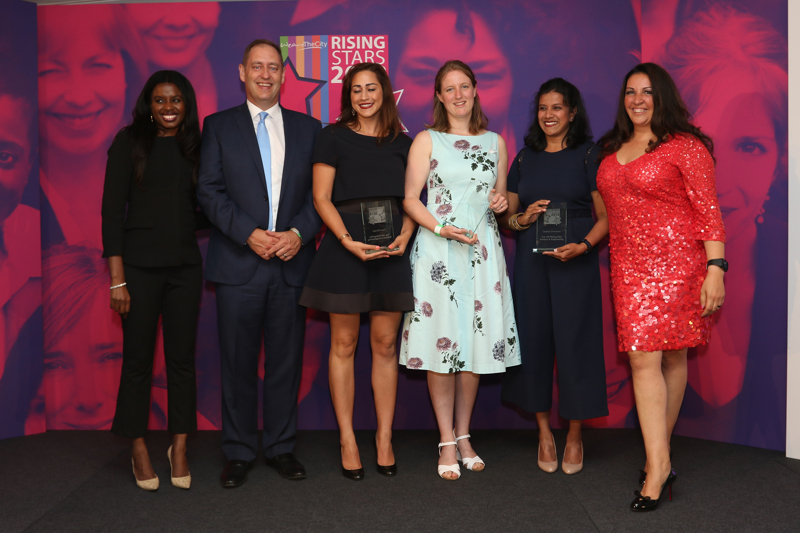 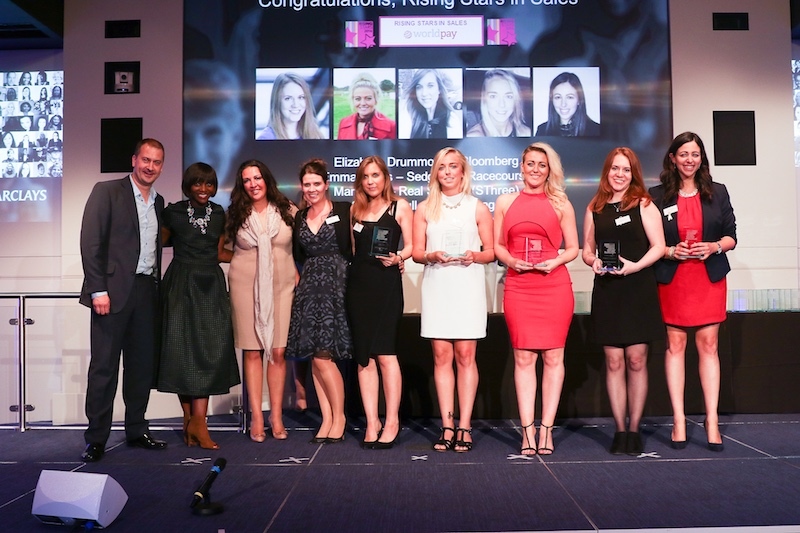 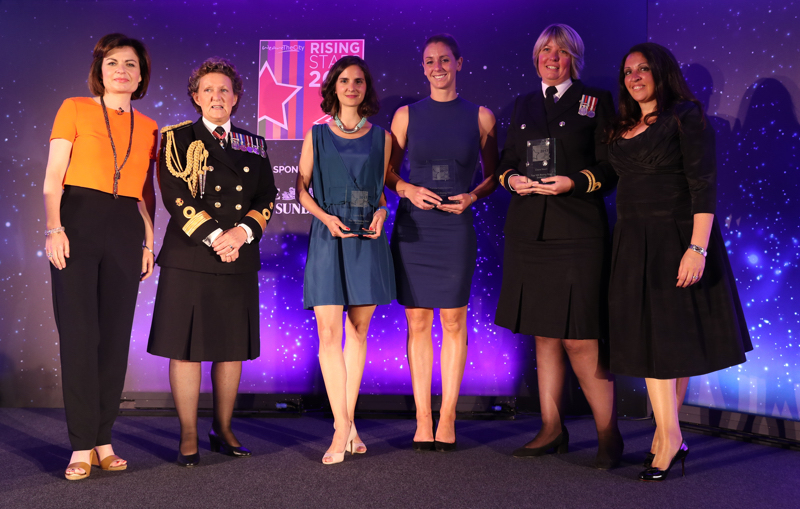 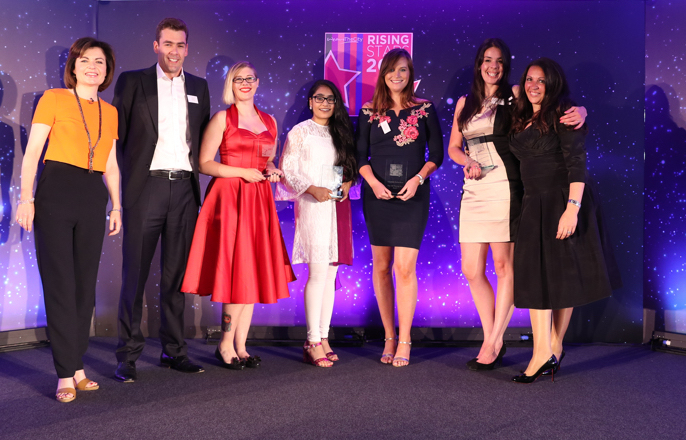 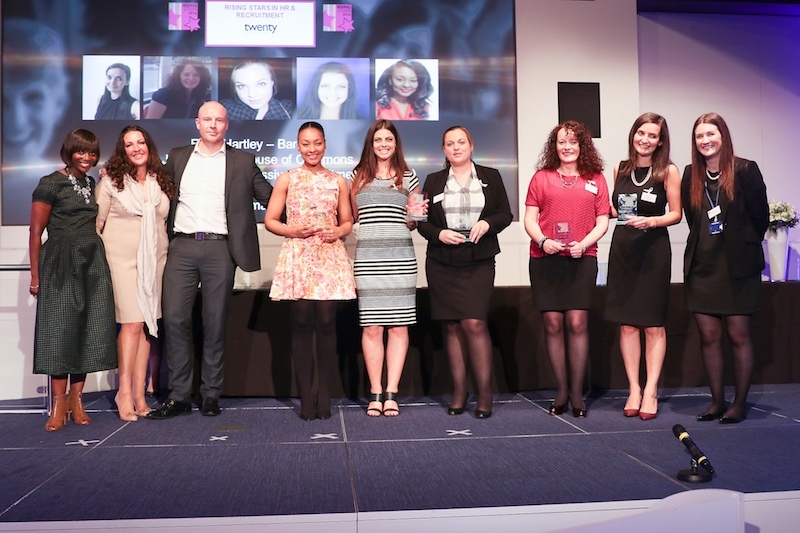 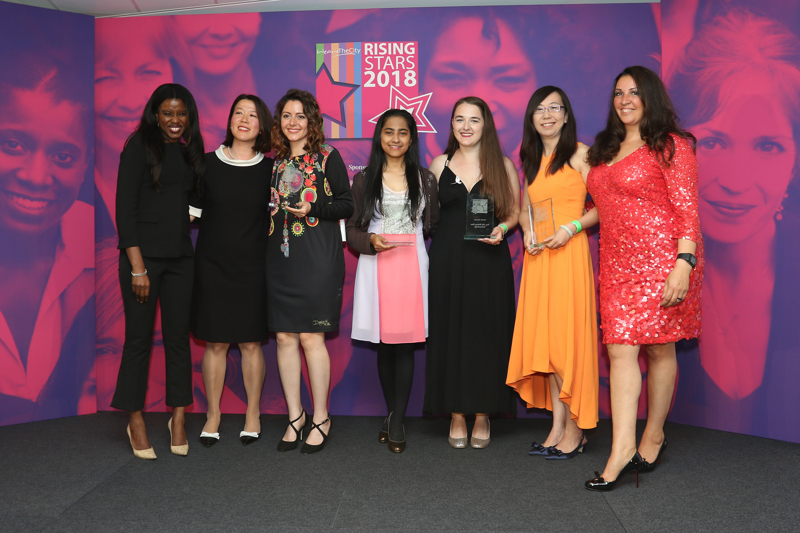 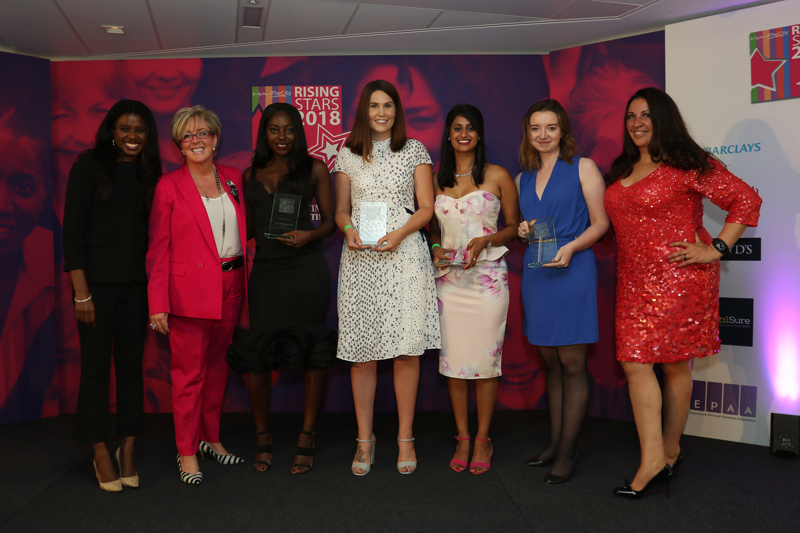 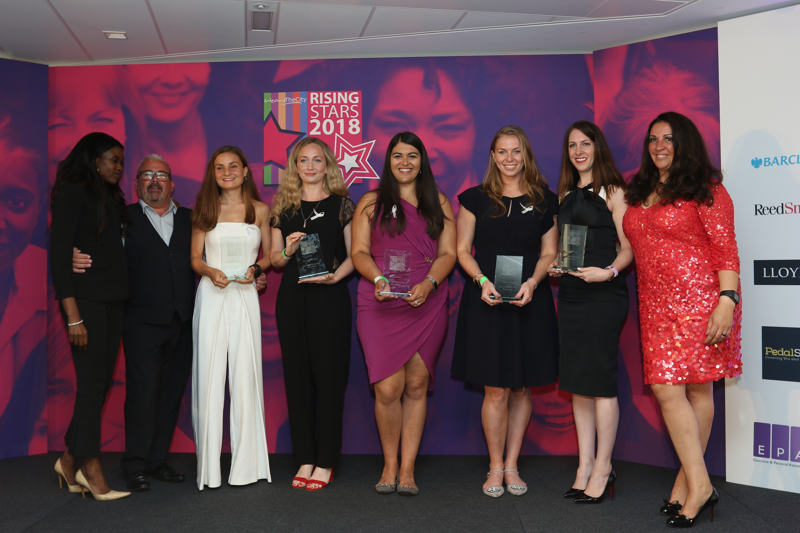 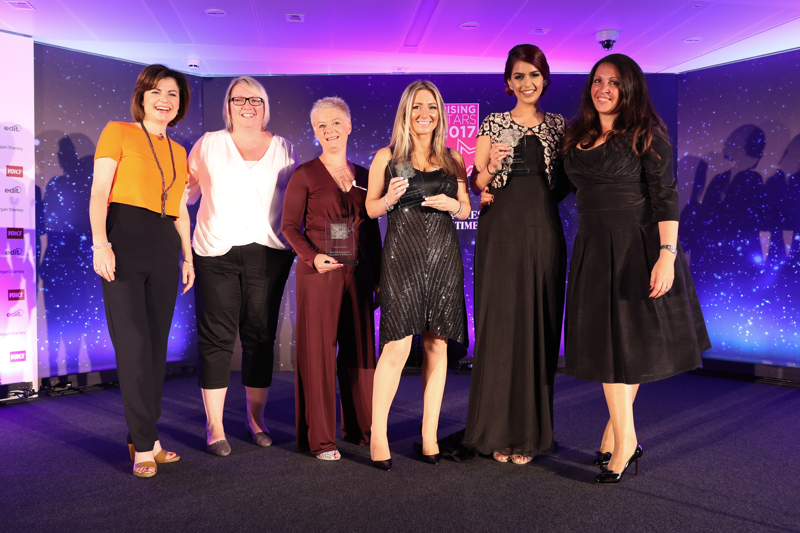 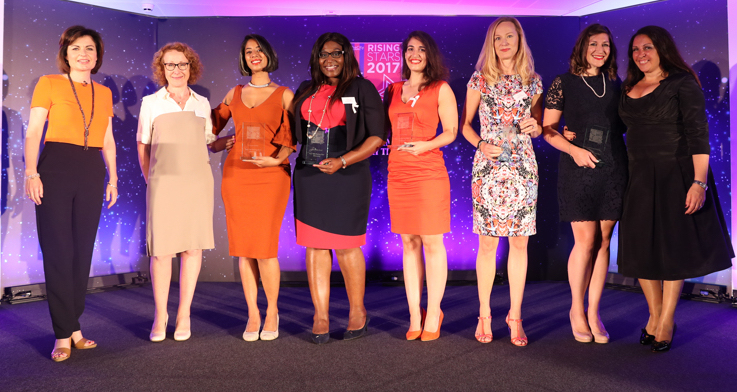 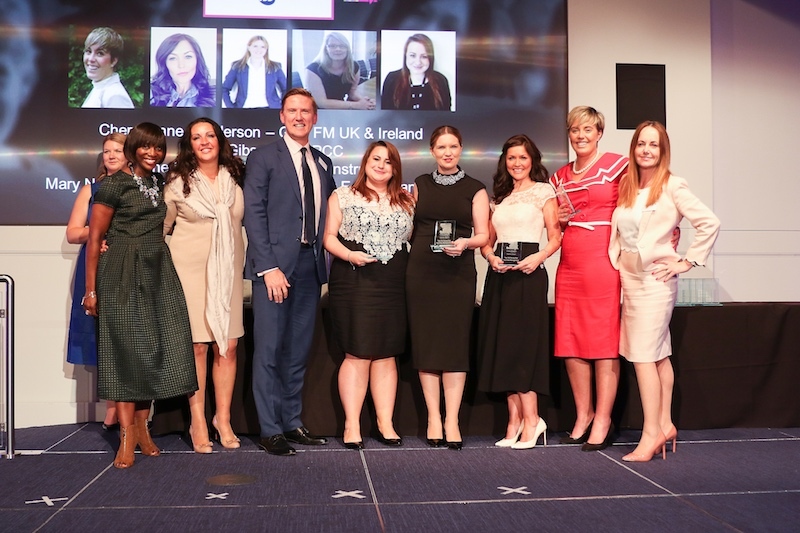 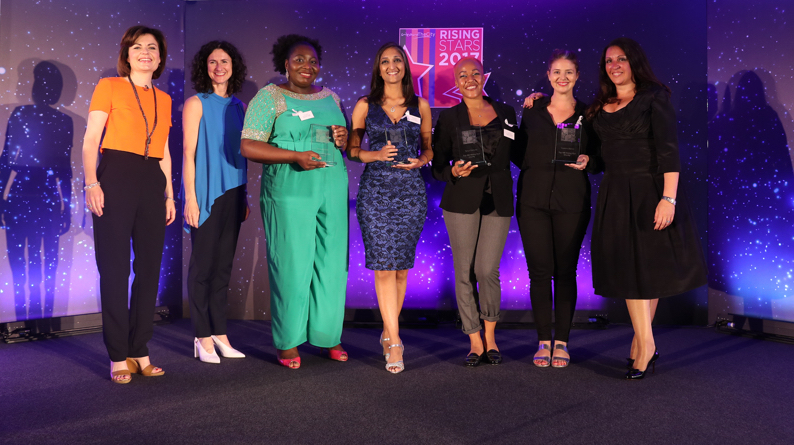 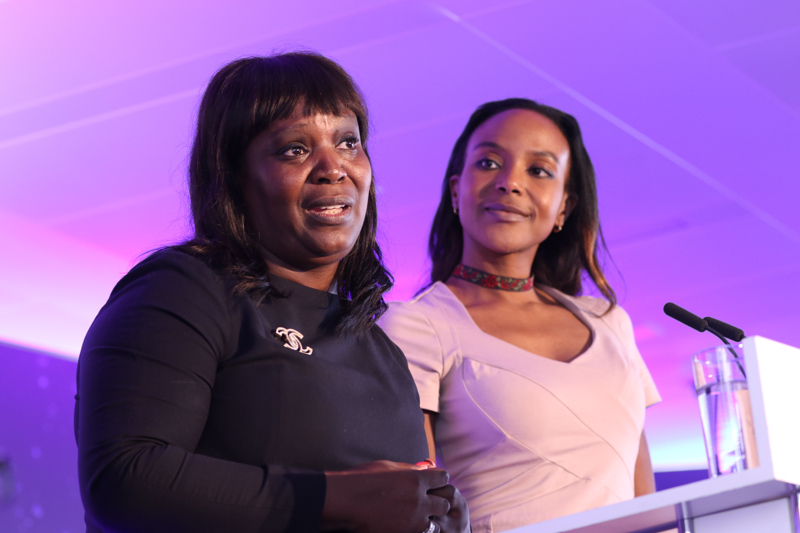 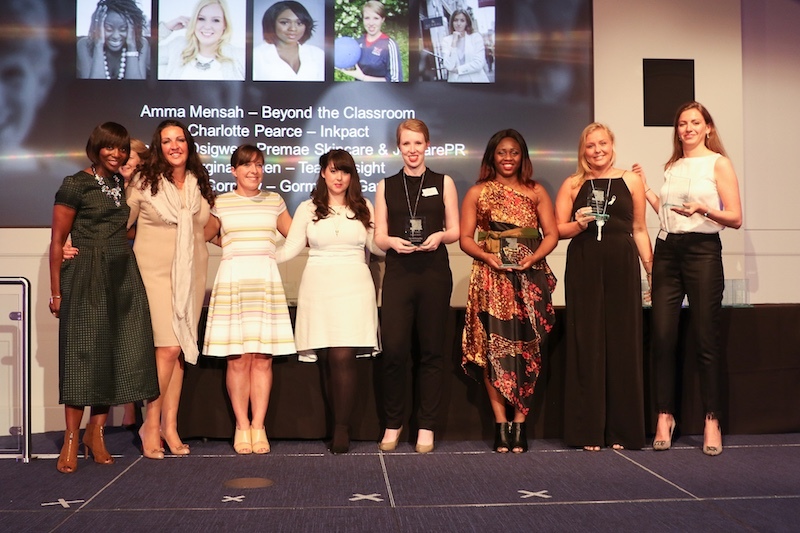 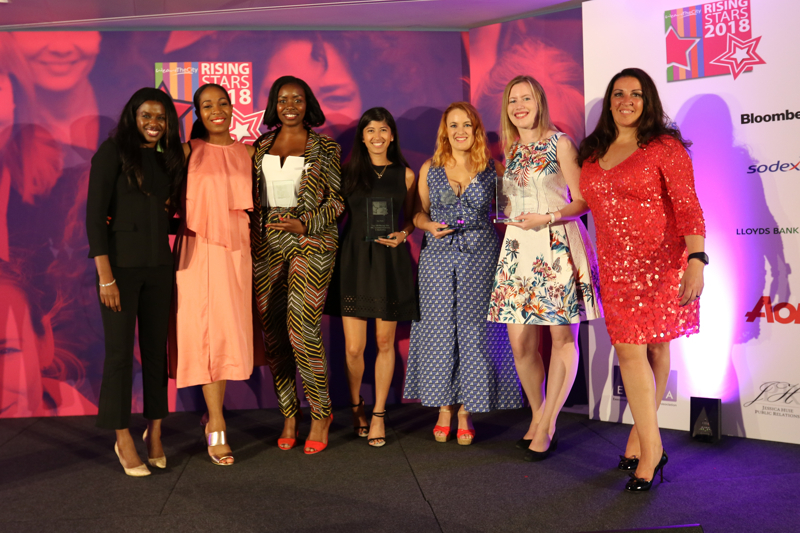 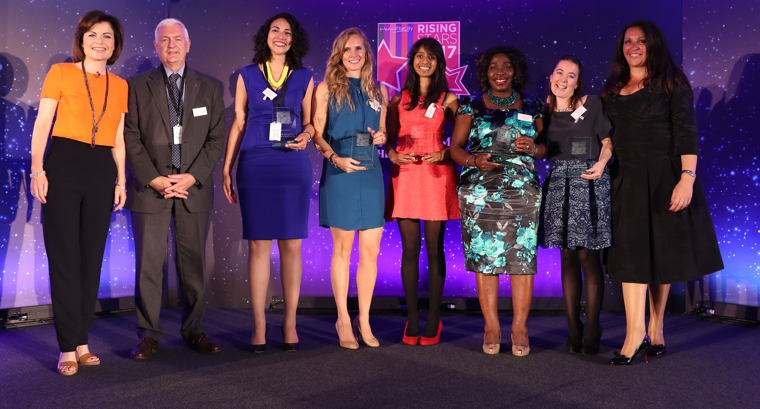 The Rising Star awards, now in their third year, are the first to focus on the UK and India’s female talent pipeline below management level and to support its winners through on going learning and networking opportunities long after the awards process has concluded. 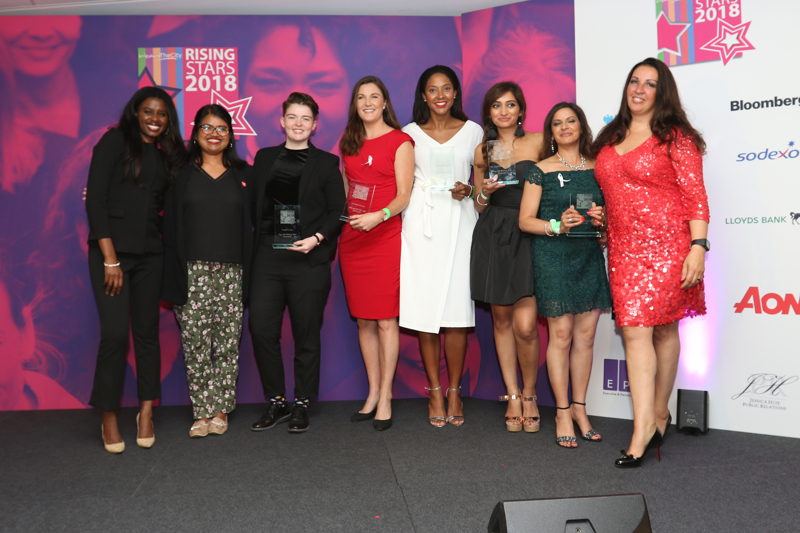 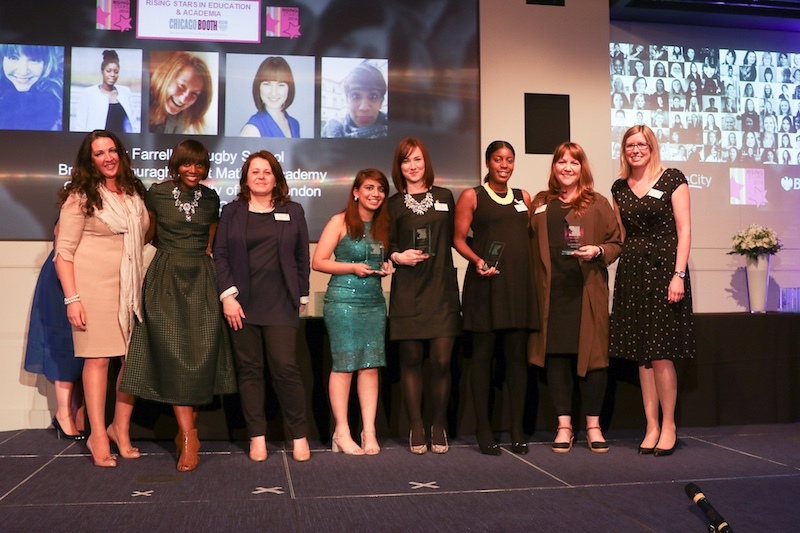 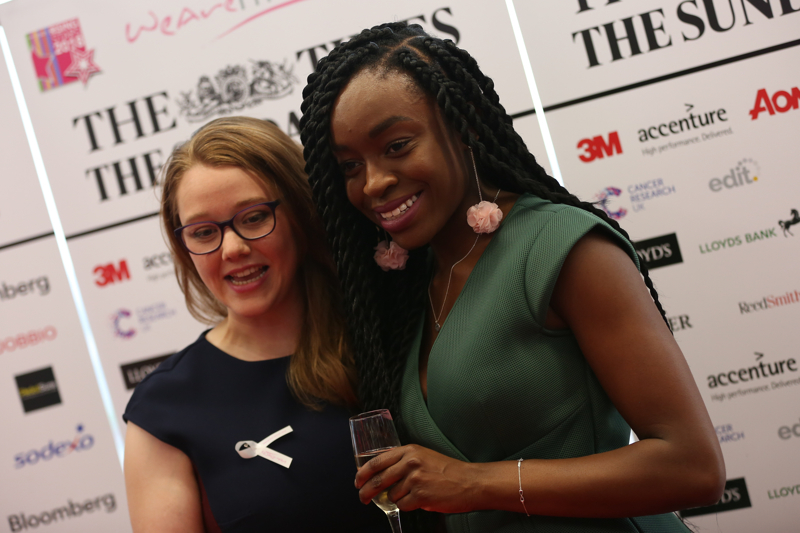 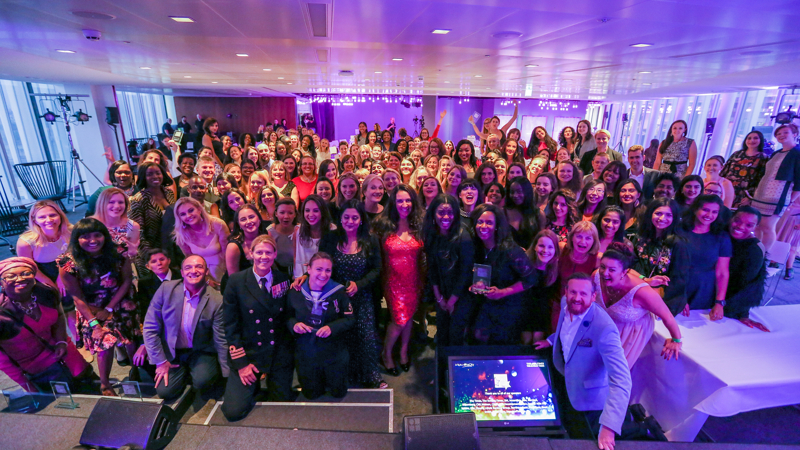 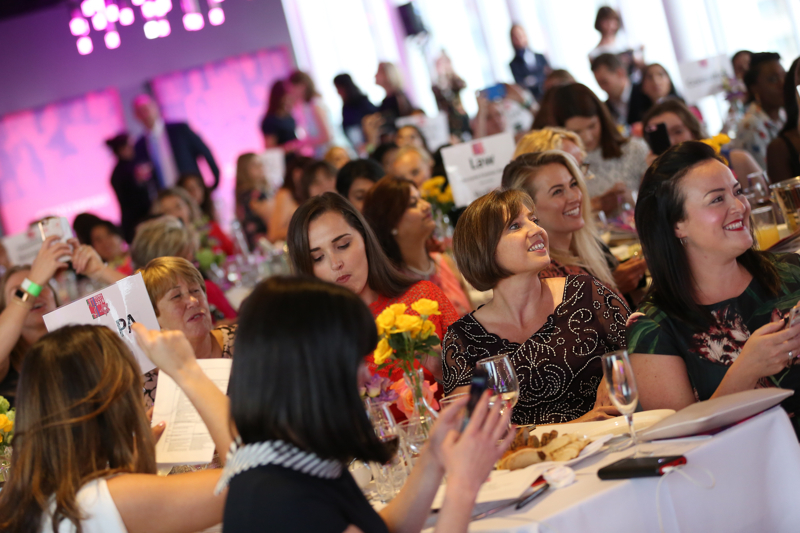 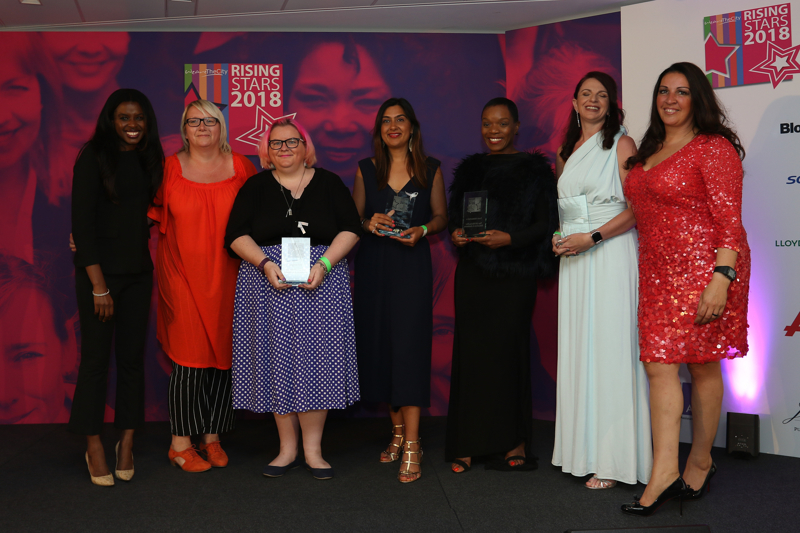 Over the past four years and with the support of over 30 leading organisations, WeAreTheCity has been able to highlight the achievements of over 300 women (250 in the UK, 50 in India) through the Rising Star awards process. 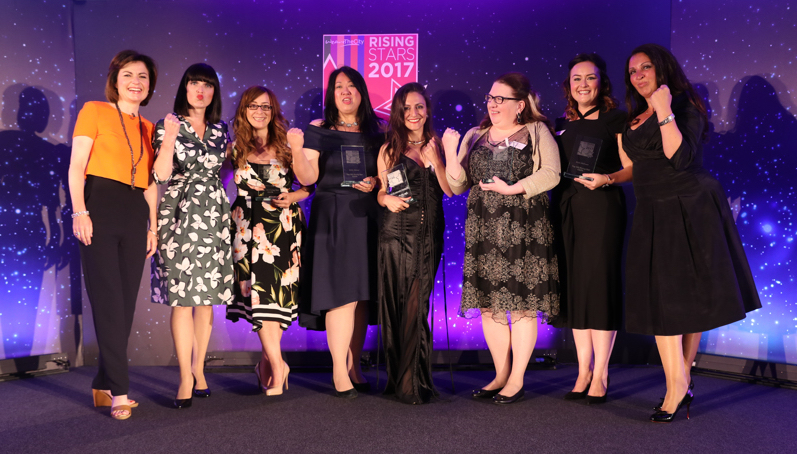 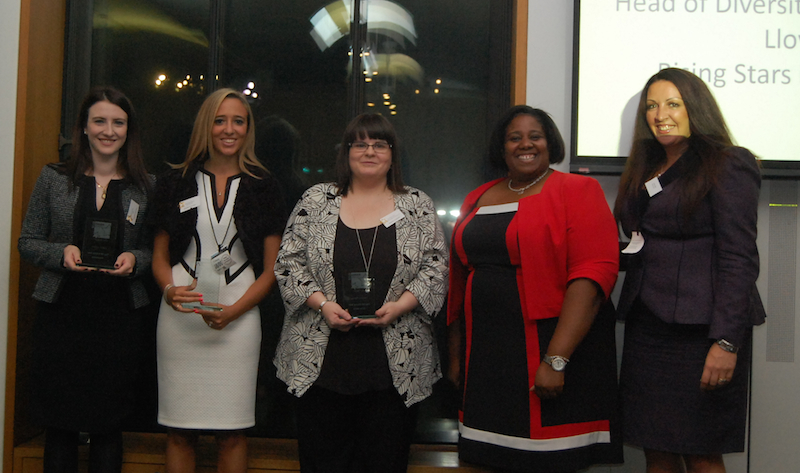 In 2016, we also introduced a Rising Star Champions category to showcase industry role models. 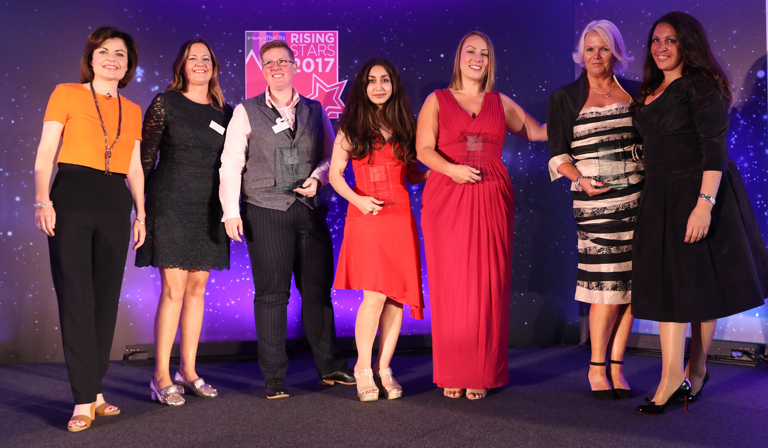 We are also pleased to announce a new award for 2017 – Company of the Year. 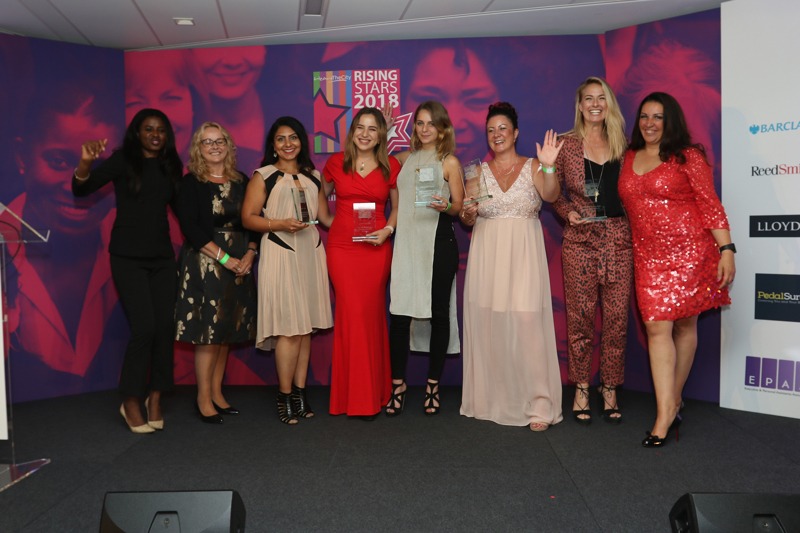 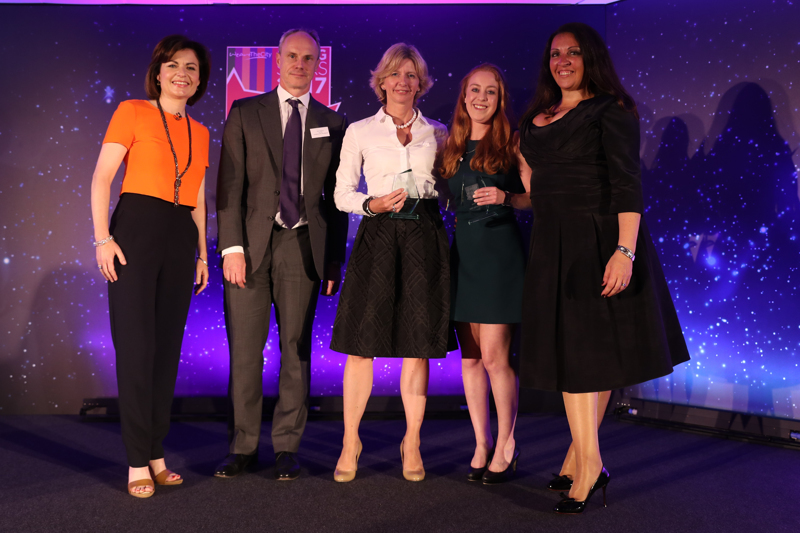 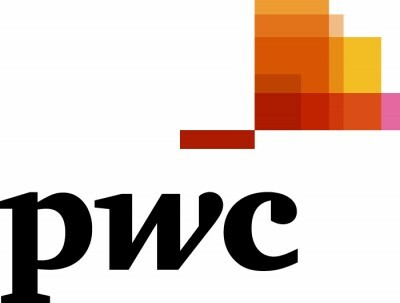 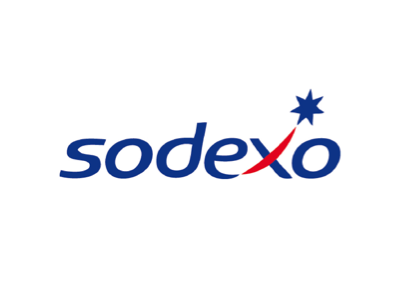 This award recognises the achievements of a company who can clearly demonstrate that they are actively supporting its female talent pipeline through their initiatives, training, development programmes and internal employee relations and diversity network groups. 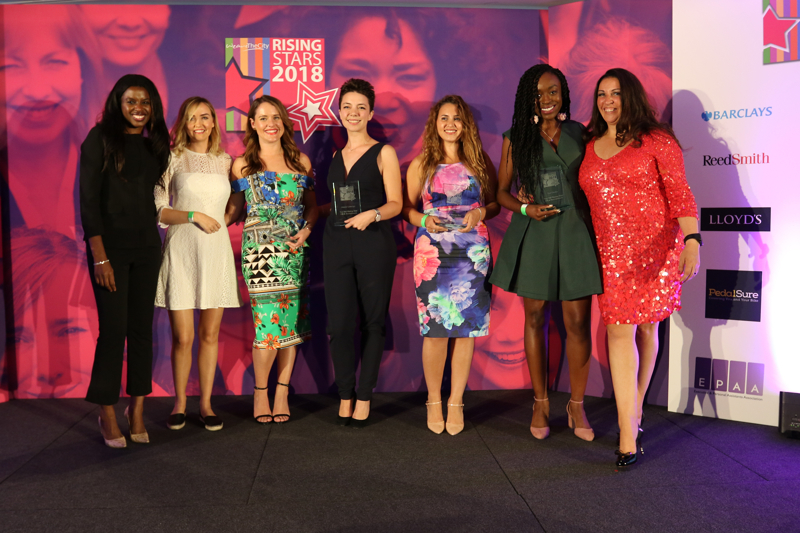 In 2018, the number of Rising Star winners will rise to 400. 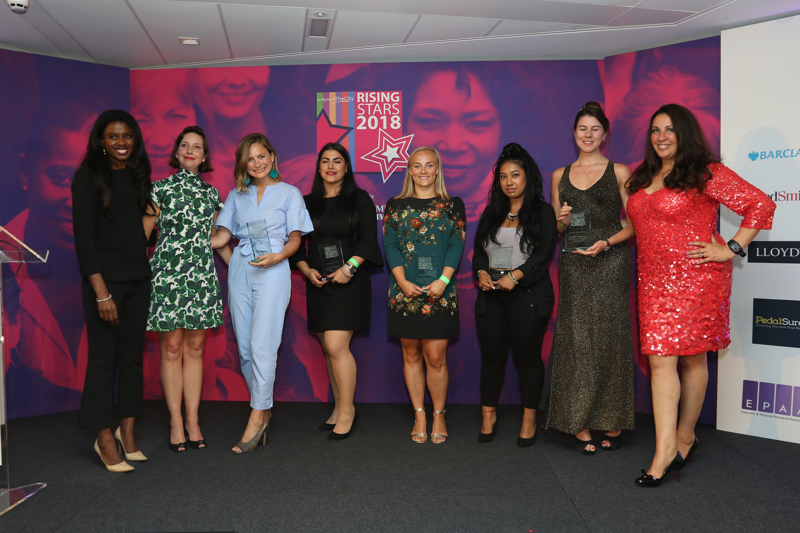 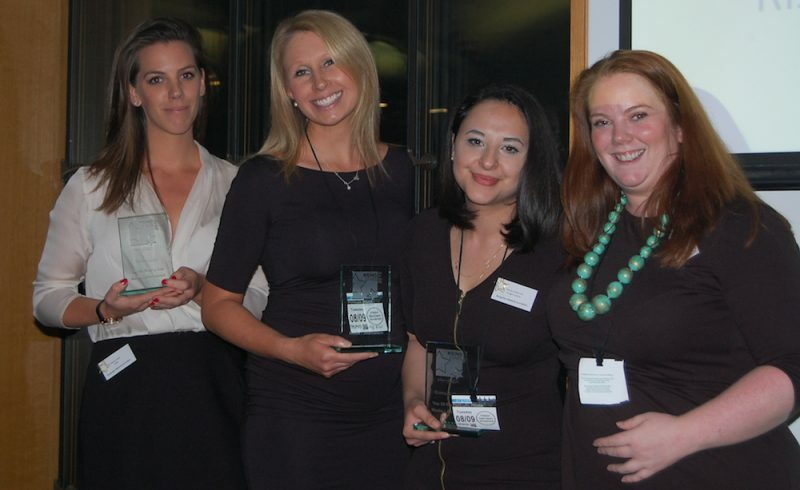 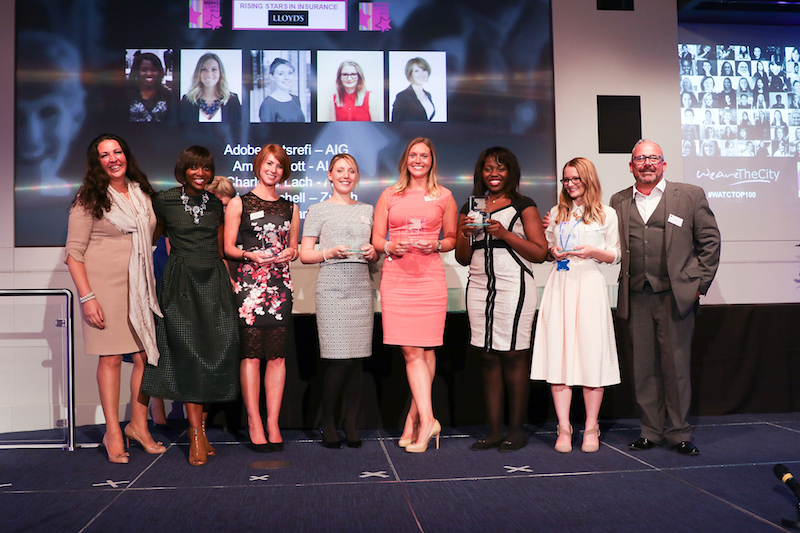 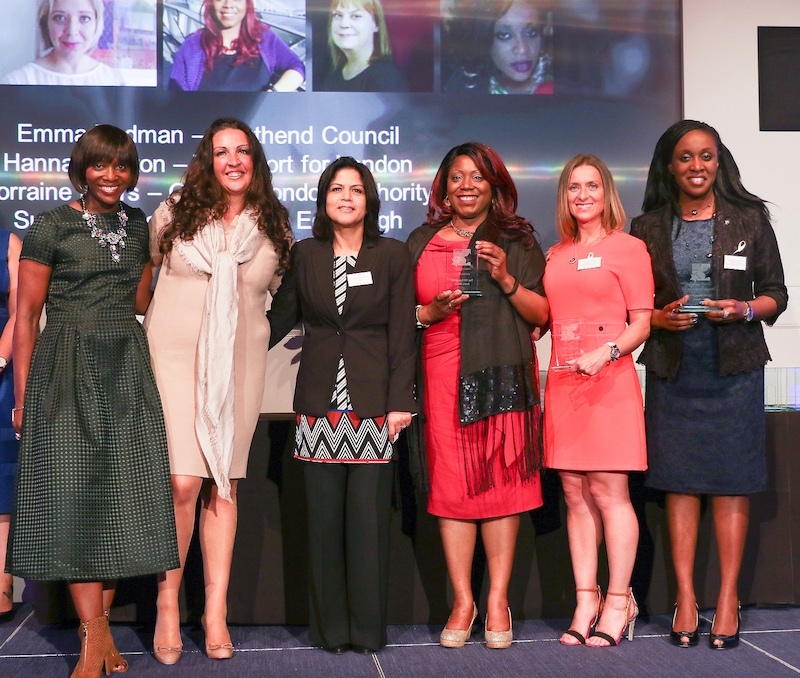 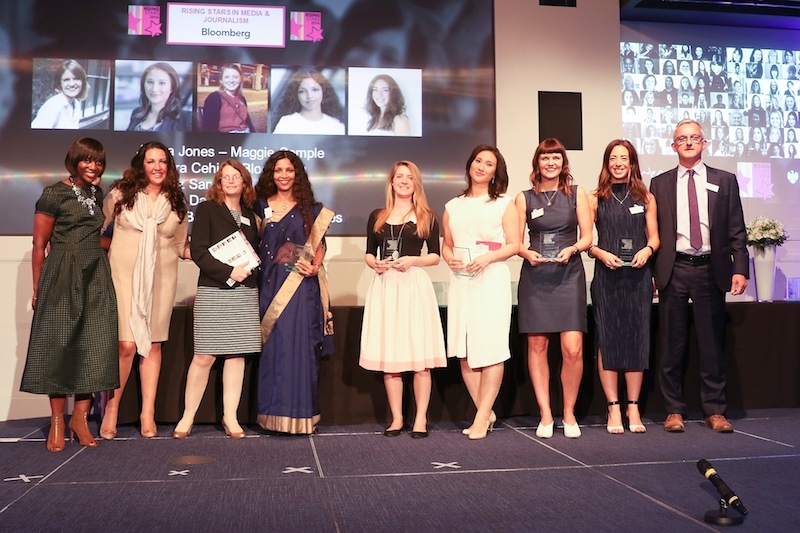 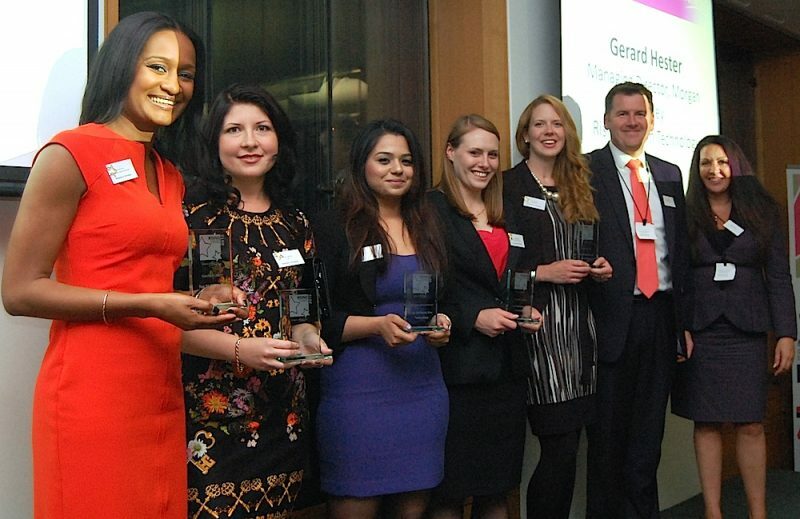 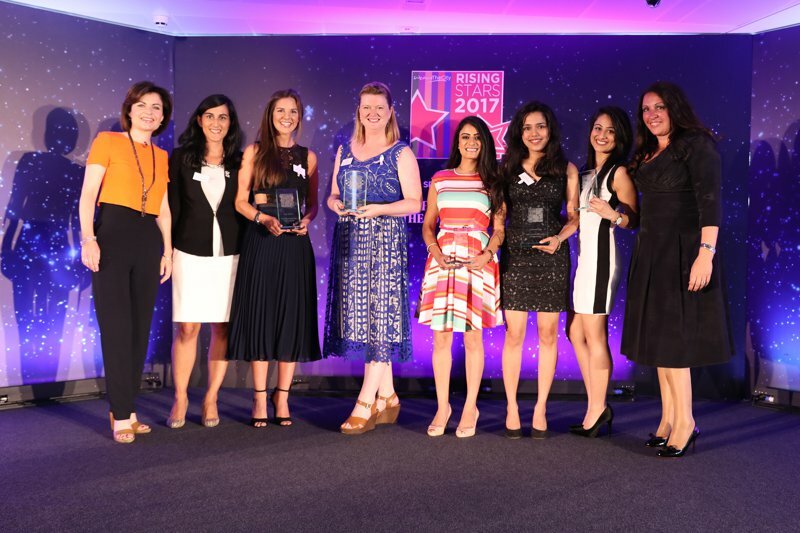 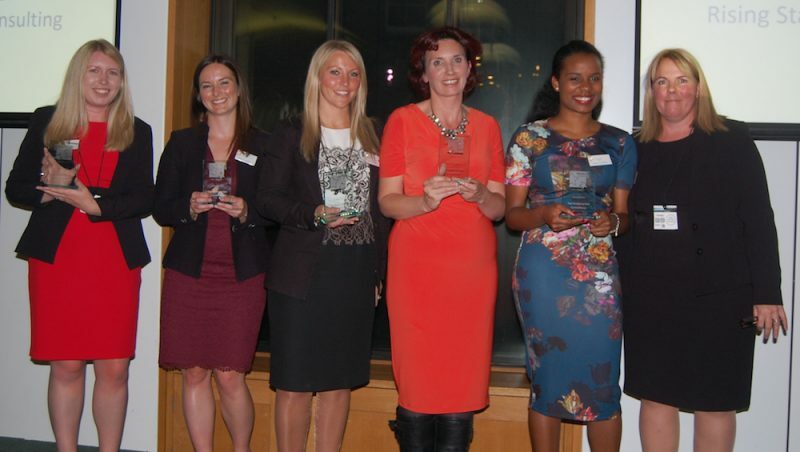 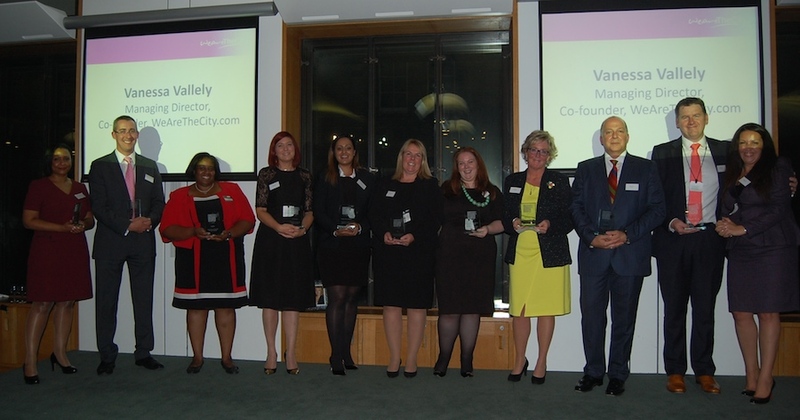 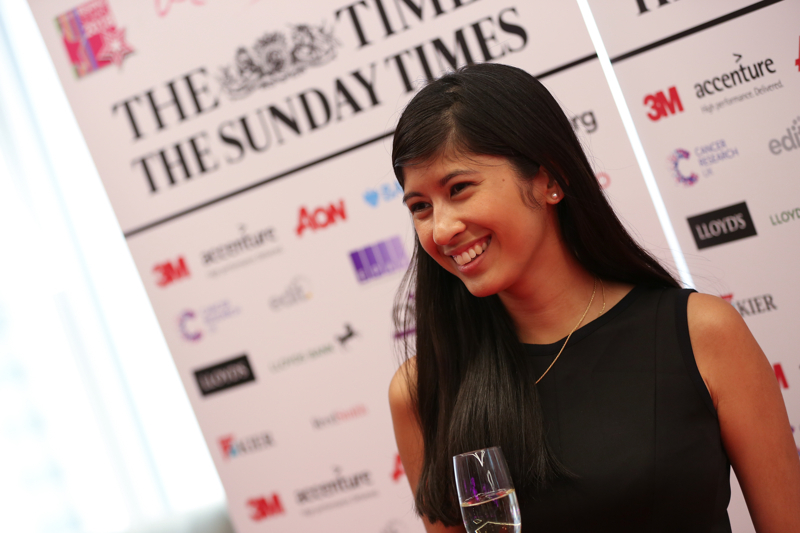 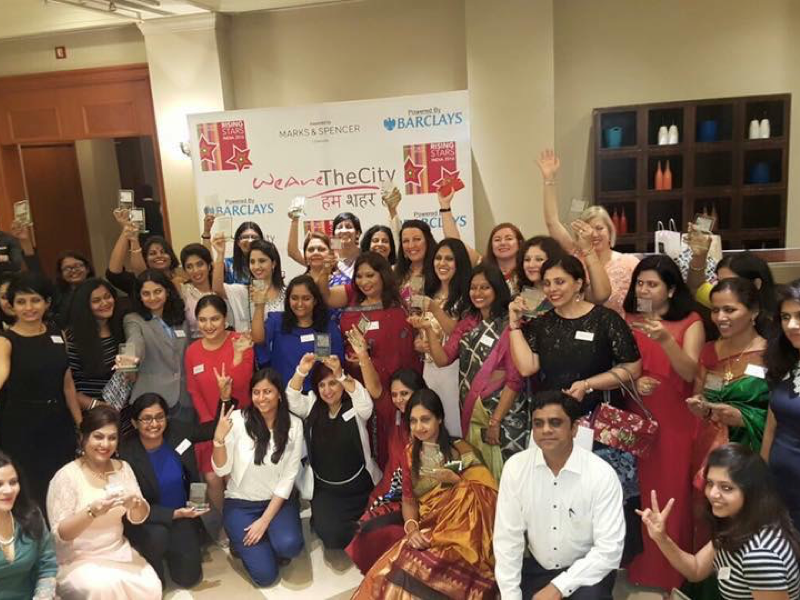 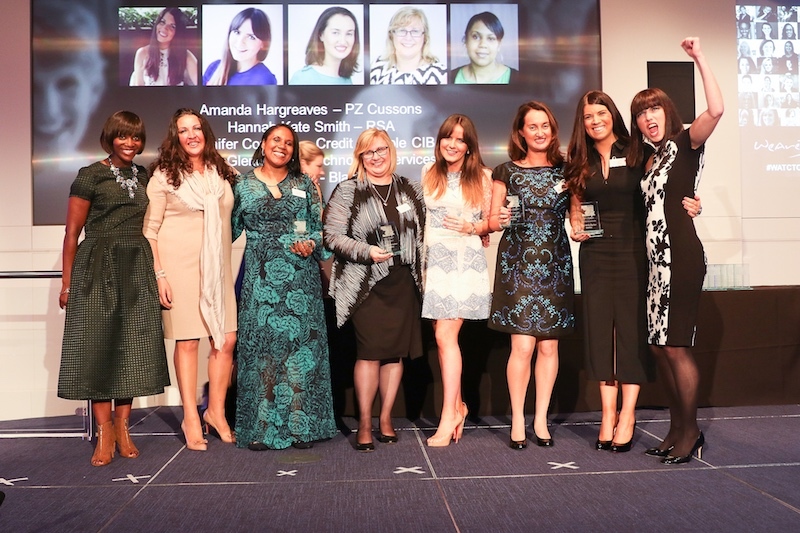 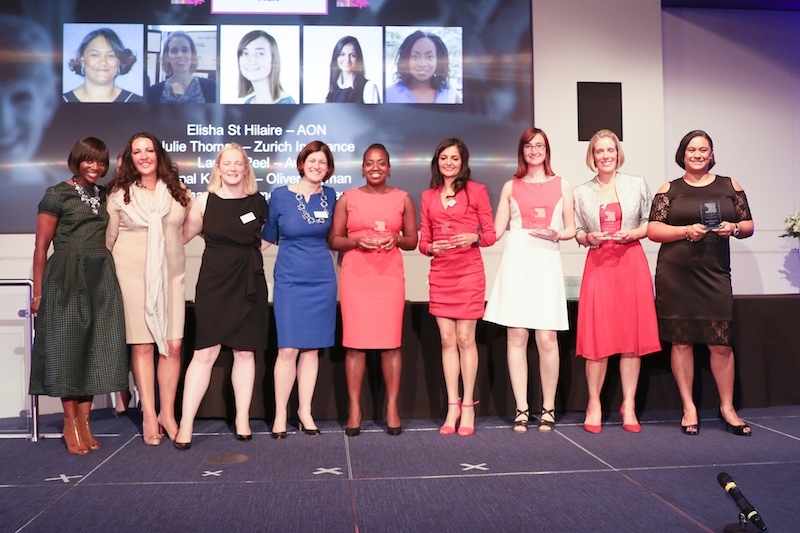 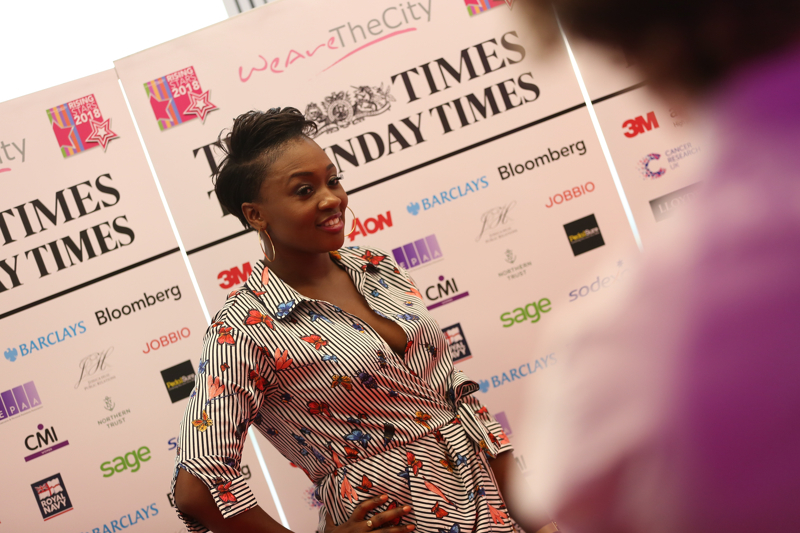 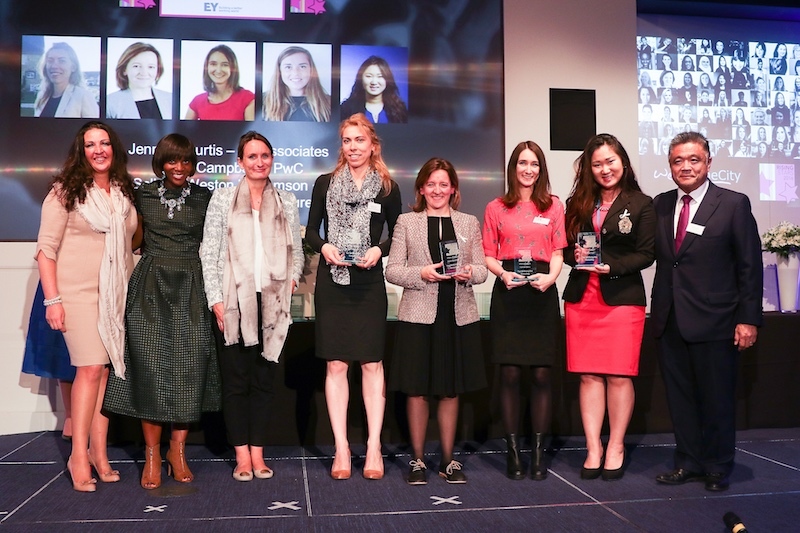 By highlighting the accolades of these women, WeAreTheCity are not only promoting the female talent that exists across the UK and India, it is also actively encouraging organisations and business leaders to invest in and recognise these women as leaders of tomorrow and individual contributors to their respective industries. 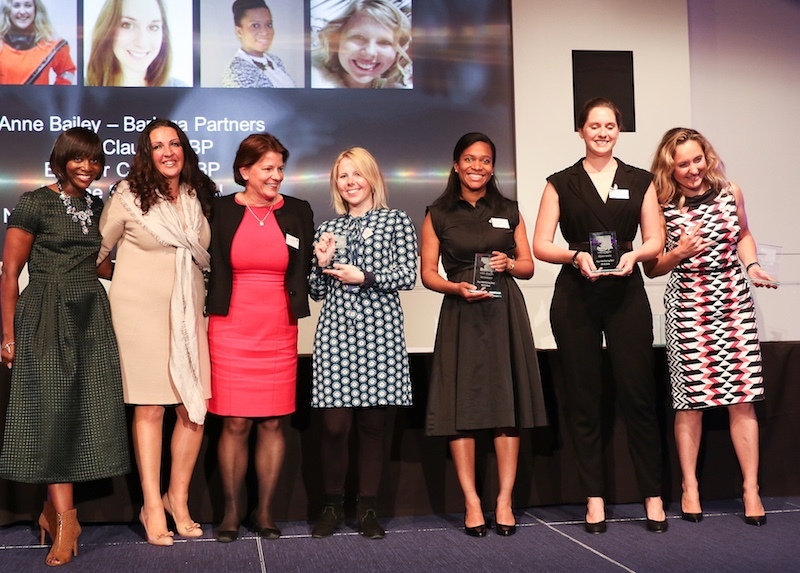 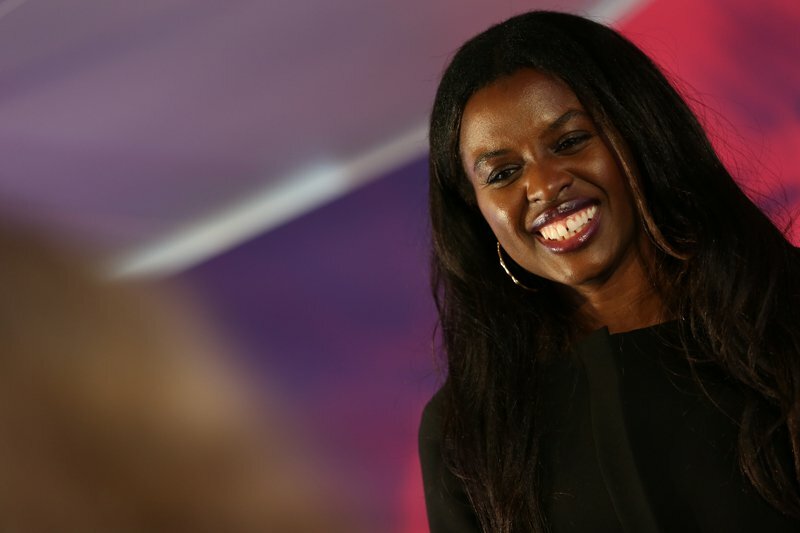 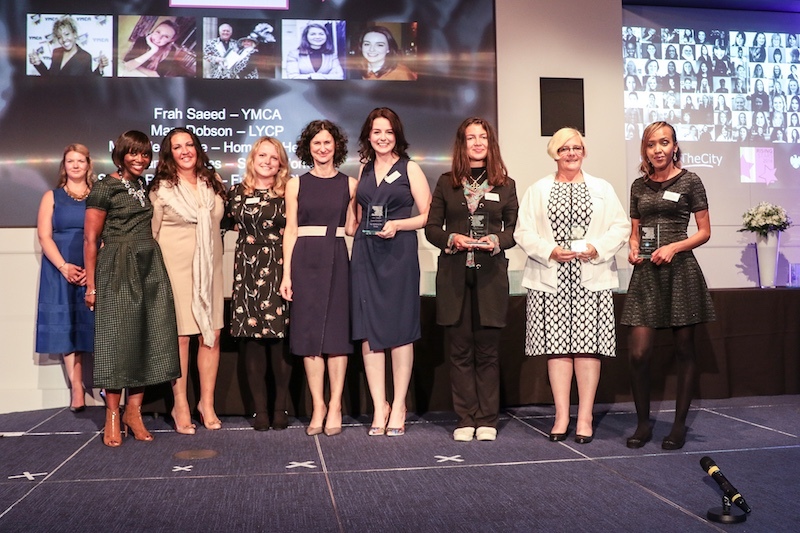 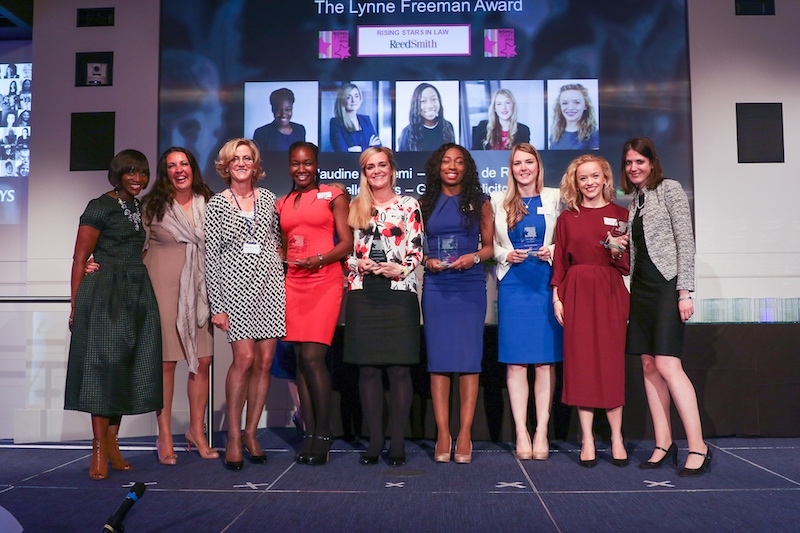 Supporting the growth of female entrepreneurs not only drives diversity within UK businesses but it also creates an environment for future entrepreneurial heroines to flourish and succeed, empowering future generations to succeed in business. 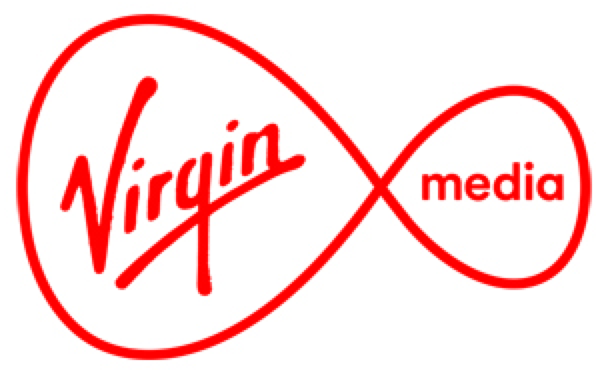 I’m extremely proud that Virgin Media Business are sponsoring a fantastic category which will inspire our future leaders. 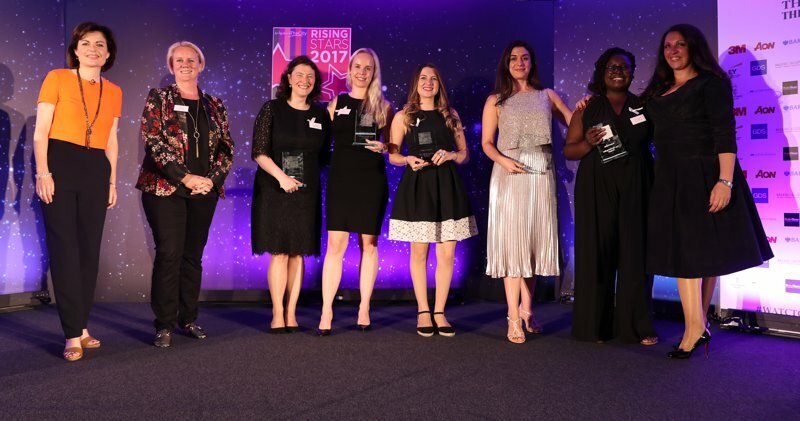 I am proud to support the Rising Stars Awards which are a great way to celebrate the pipeline of fantastic female talent who are smashing the glass ceiling. 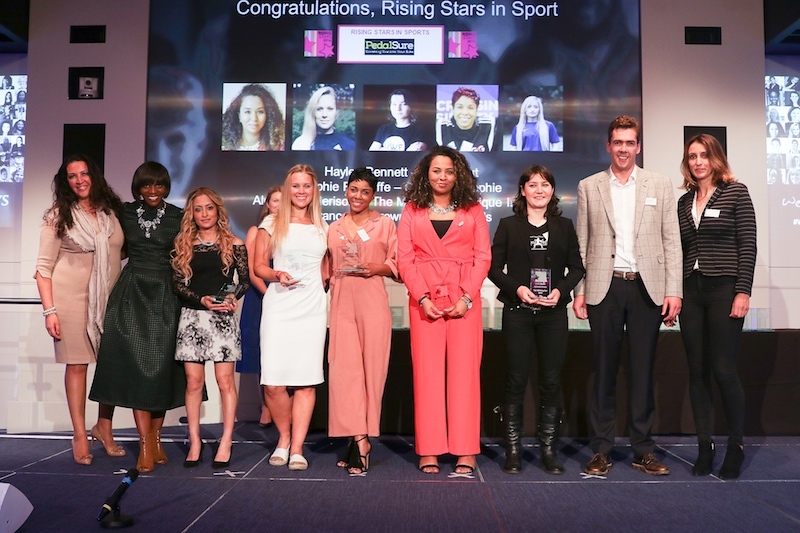 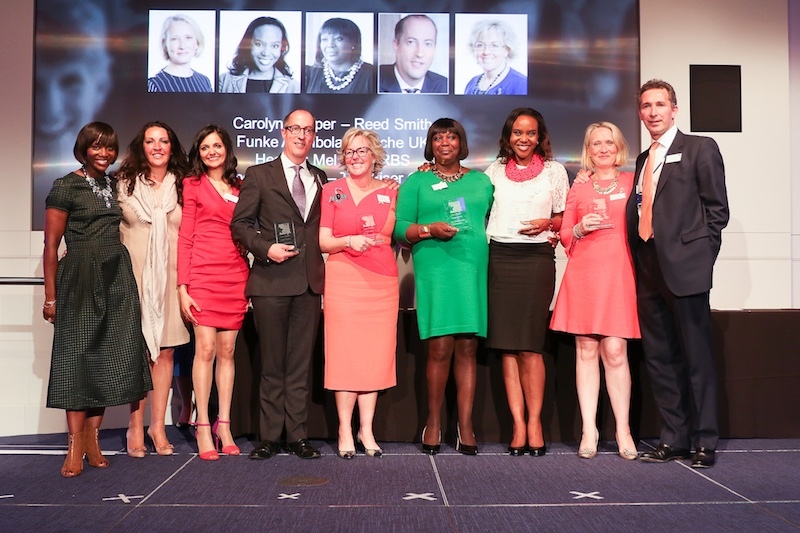 These awards shine a light on rising stars from all walks of life who are significantly contributing to their organisations and inspiring the next generation. 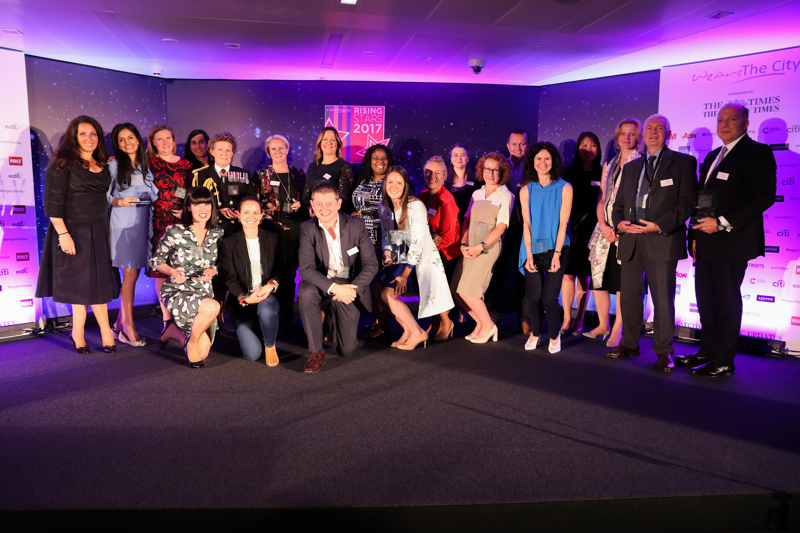 We have made fantastic progress in recent years – we now have the lowest gender pay gap on record, more than doubled the number of women on boards in the FTSE 350 and we’ve been rated the best place in Europe for women to start a business. 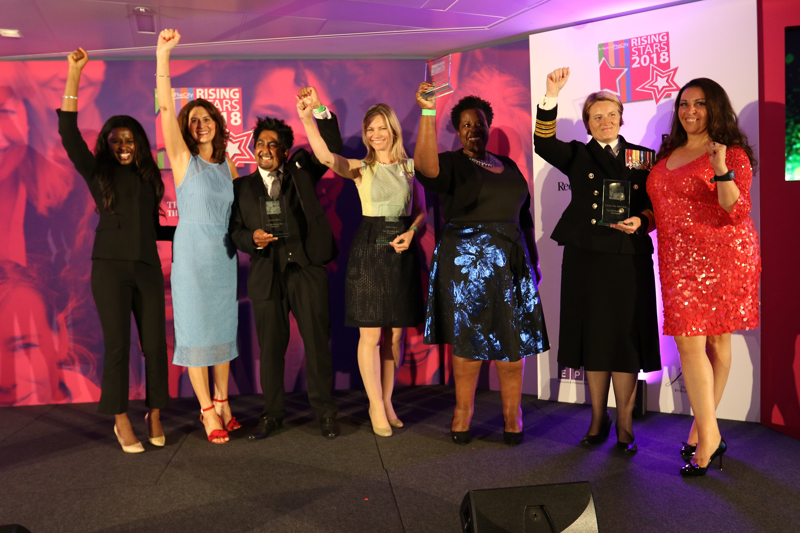 But we have to push further to achieve true gender equality, and celebrating the achievements of women through these awards take us one step closer to this. 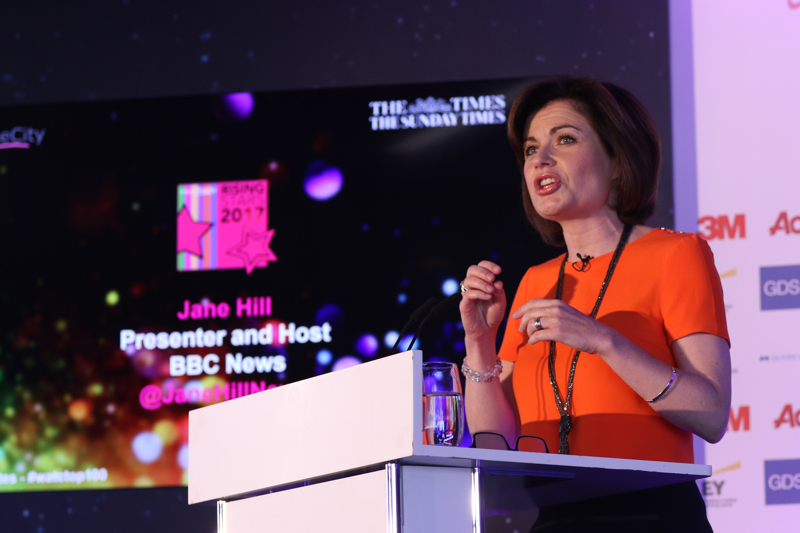 If Britain is to seize its place as a digital nation of significance, we need more digital skills, and fast. 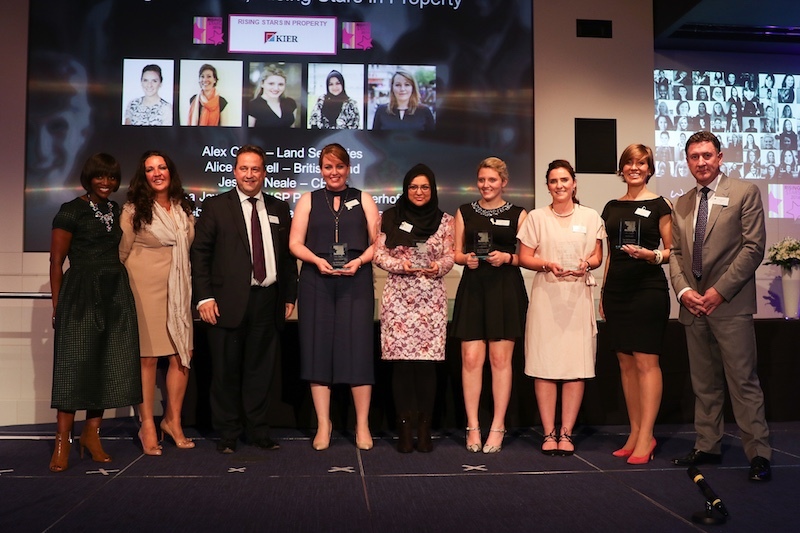 Women are a vital part of this talent pool. 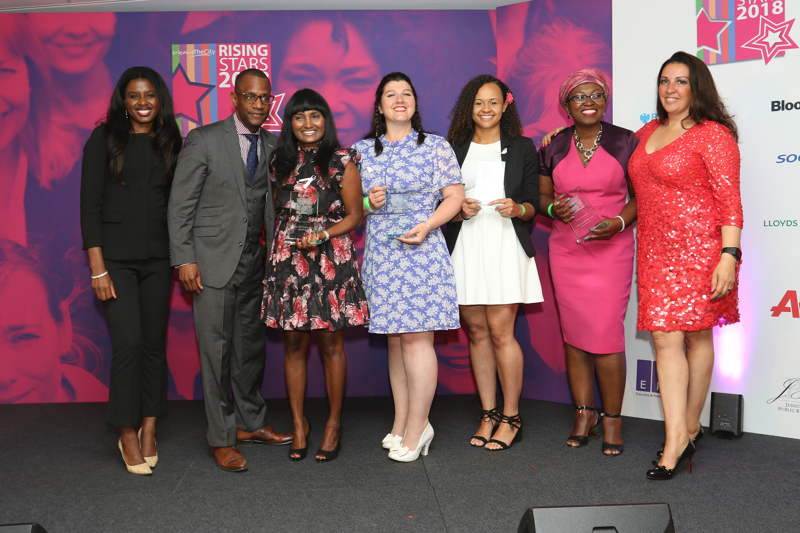 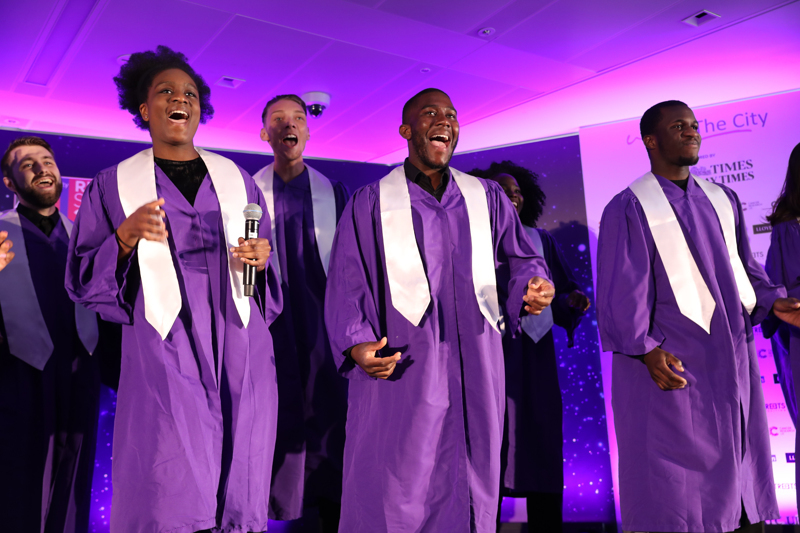 Not for 100 years has the key to economic growth rested so firmly in the hands of the diversity agenda, and the Rising Star awards are a great initiative to shine a light on our future talent. 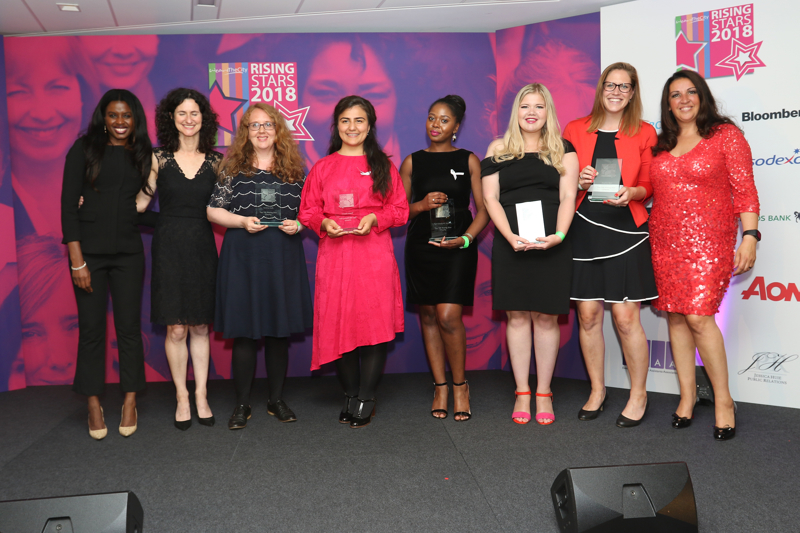 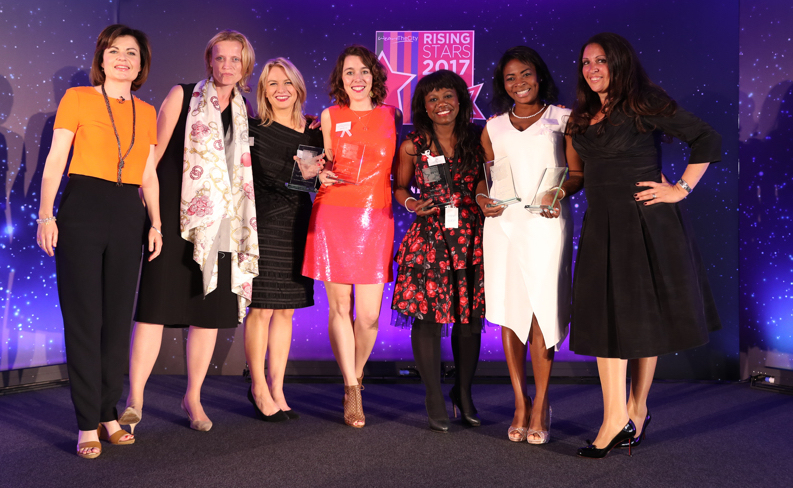 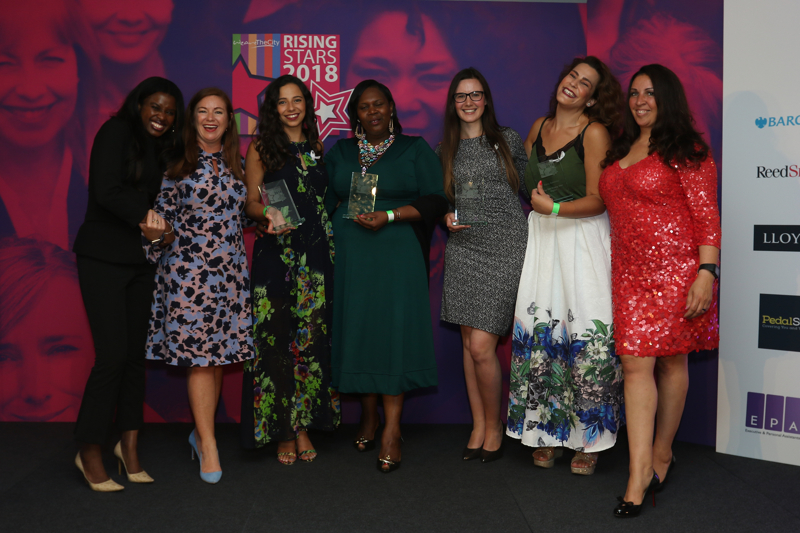 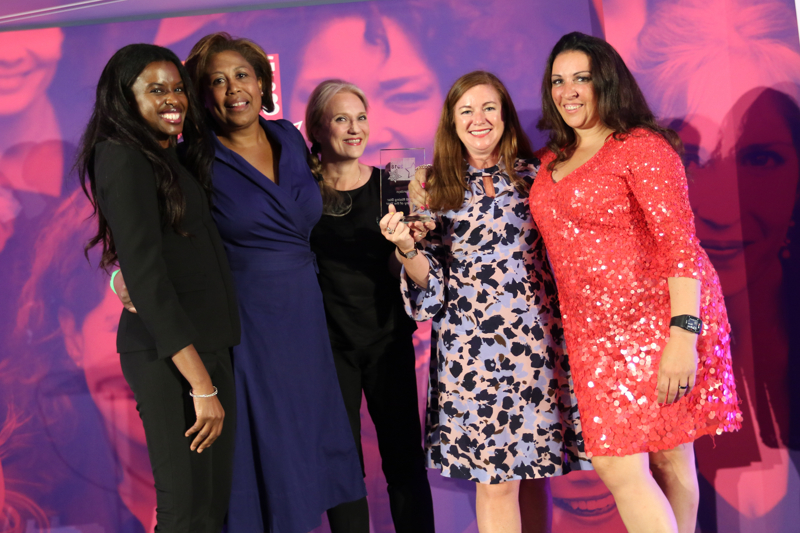 The Women’s Equality Party is delighted to partner the Rising Star Awards, which recognise excellence and innovation from women in business and across working life. 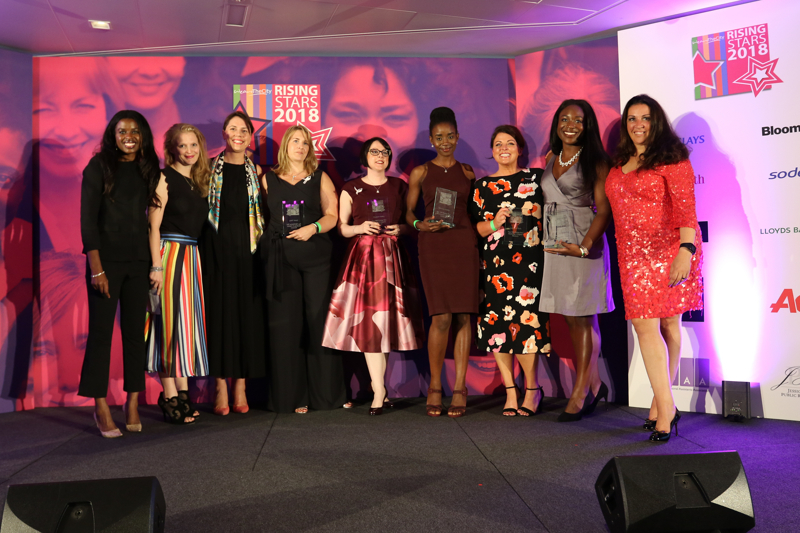 Equality of opportunity for working women is one of our party’s core objectives, so WE are pleased to see so many wonderful nominees working towards this goal. 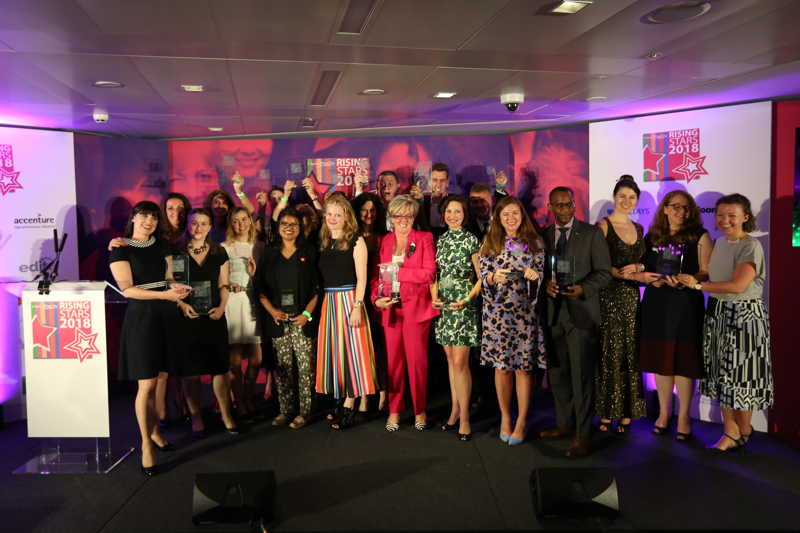 We’re delighted, too, that these awards showcase the talents of outstanding role models in many other areas of public and private life. 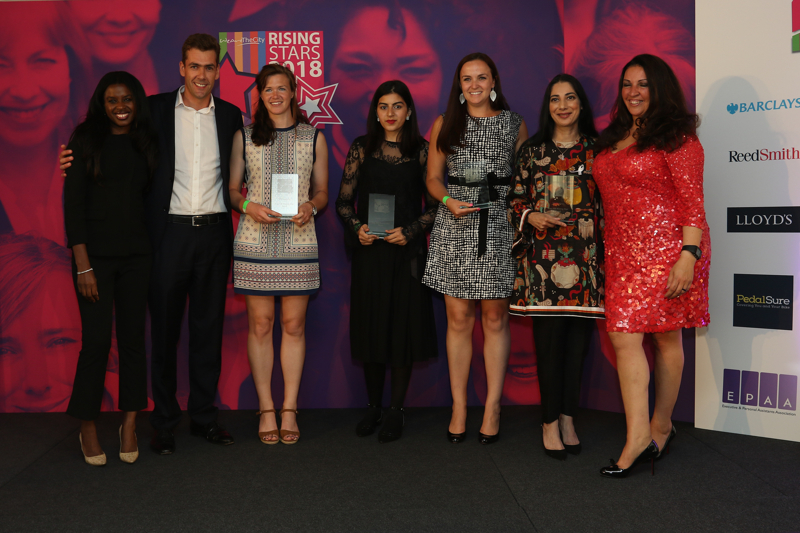 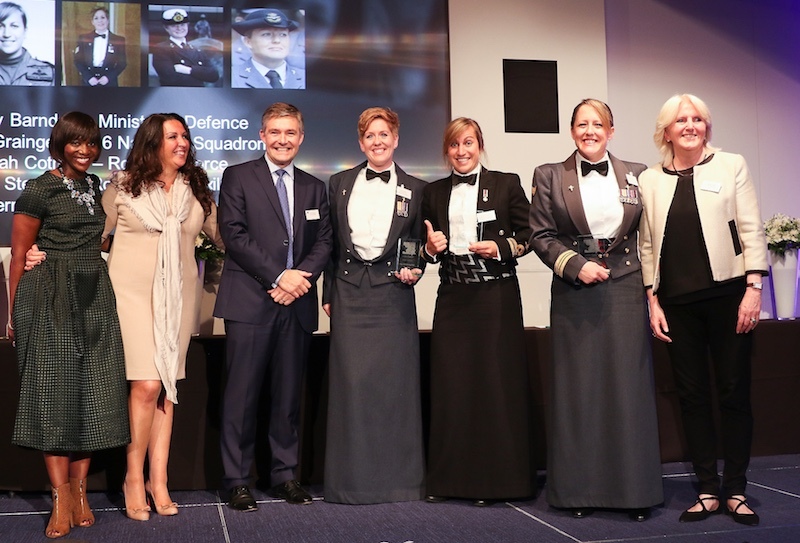 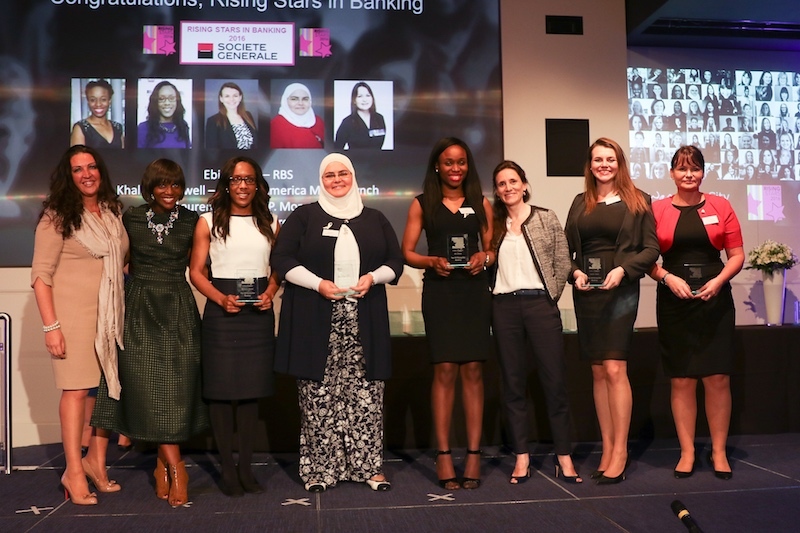 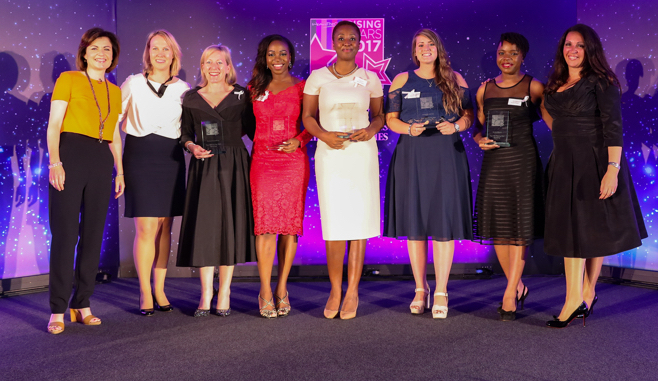 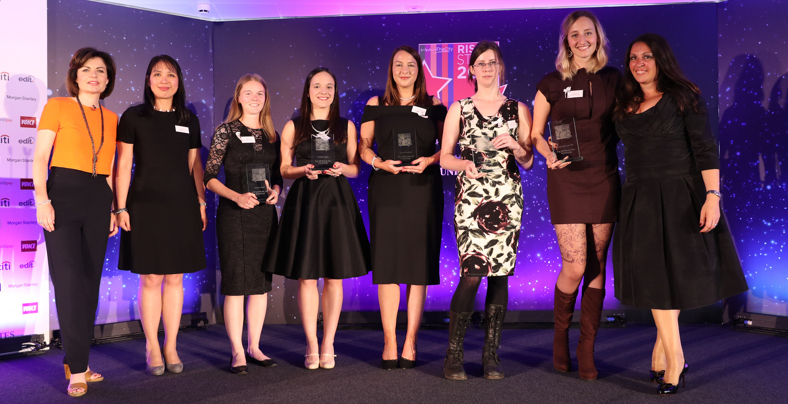 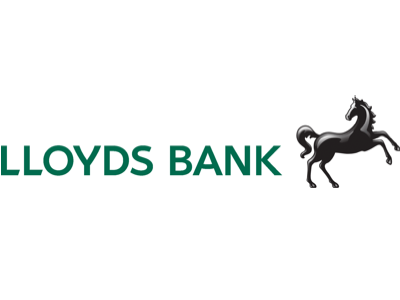 We are delighted to be the lead sponsor of the Rising Star Awards which recognises the achievements of talented women on their way to the top; the contributions they make to their organisations and society in general. 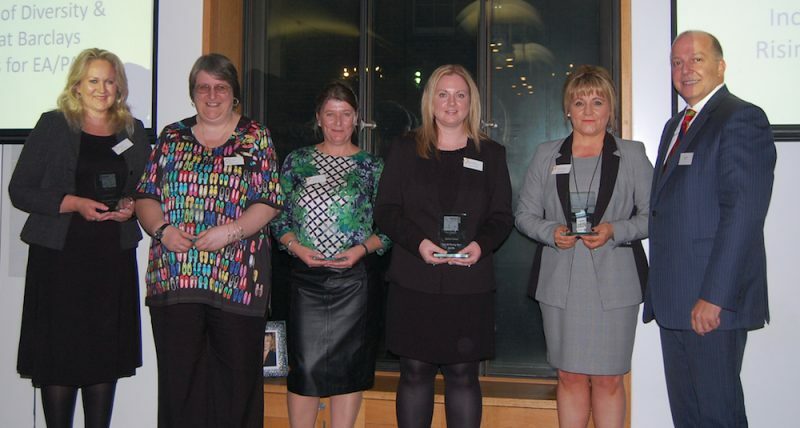 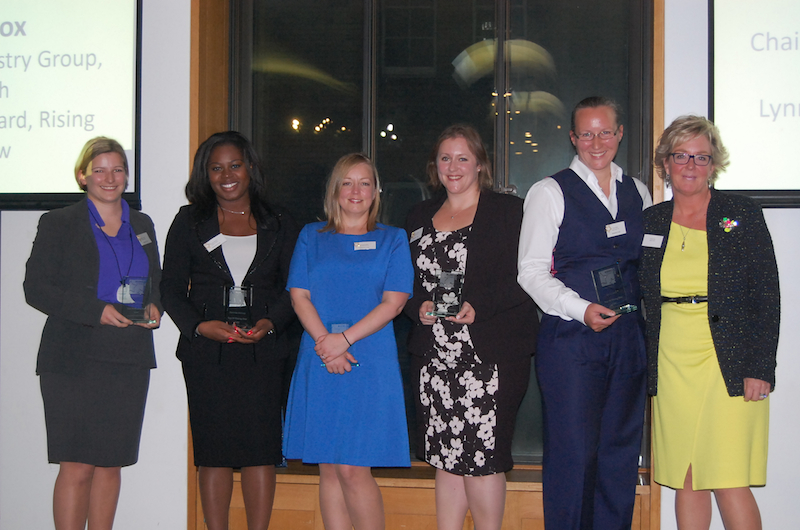 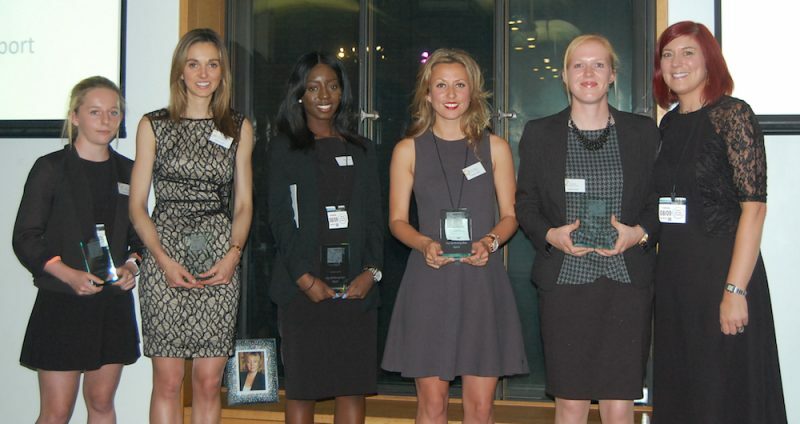 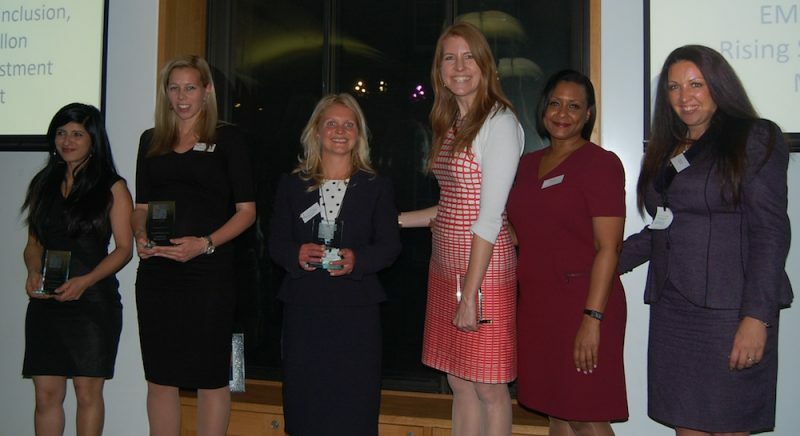 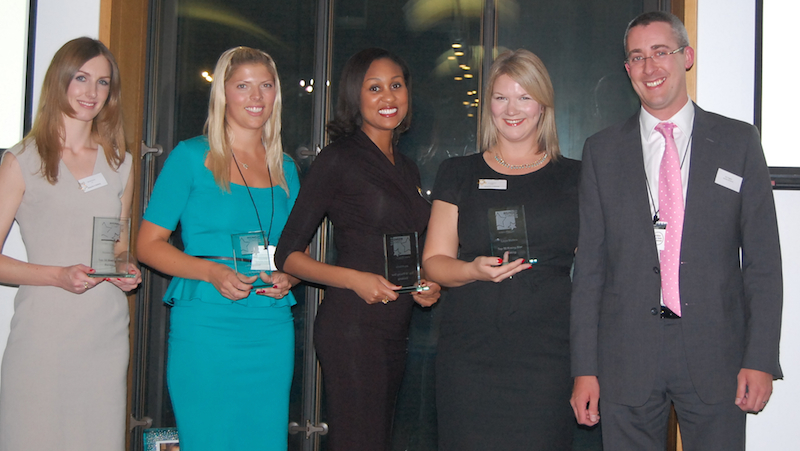 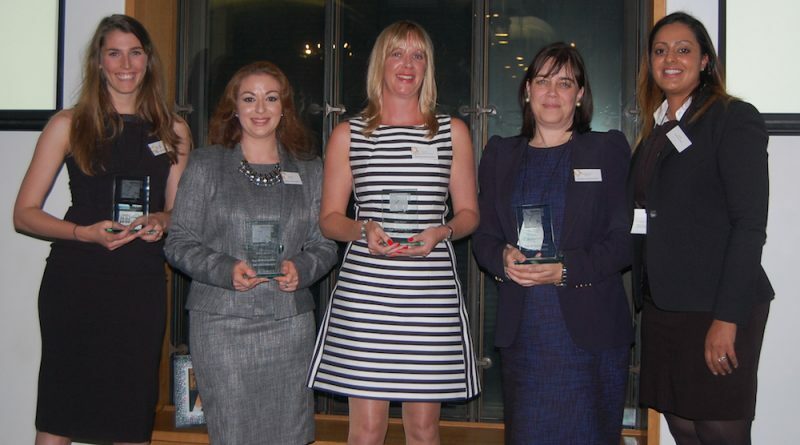 At Barclays we have a range of programmes which develop and support female talent as they progress through the Bank. 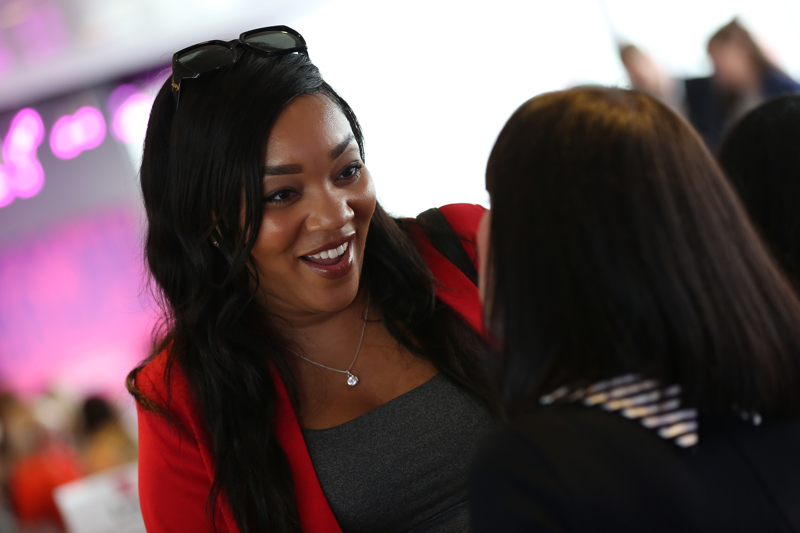 Our management training encourages the building of diverse teams and maximising the skills of all our talent, enabling colleagues to truly be themselves and unleash all their potential. 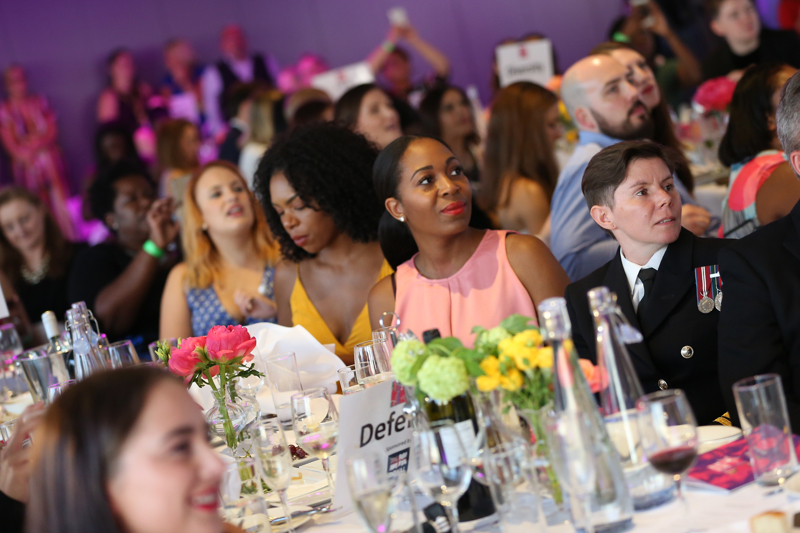 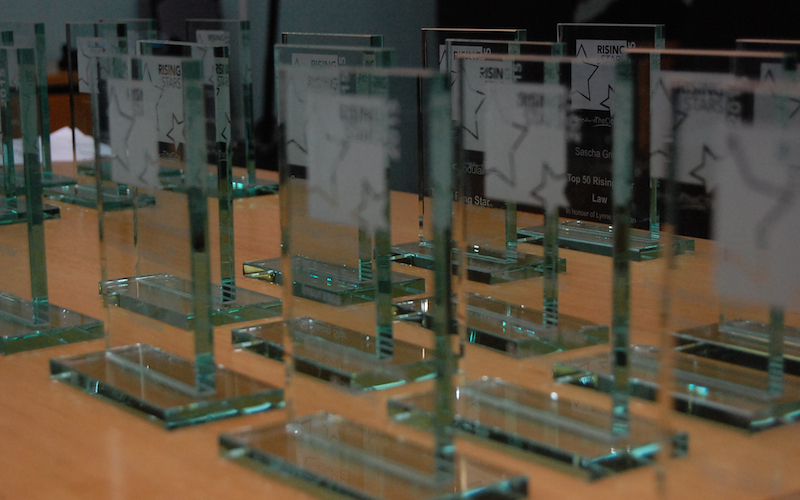 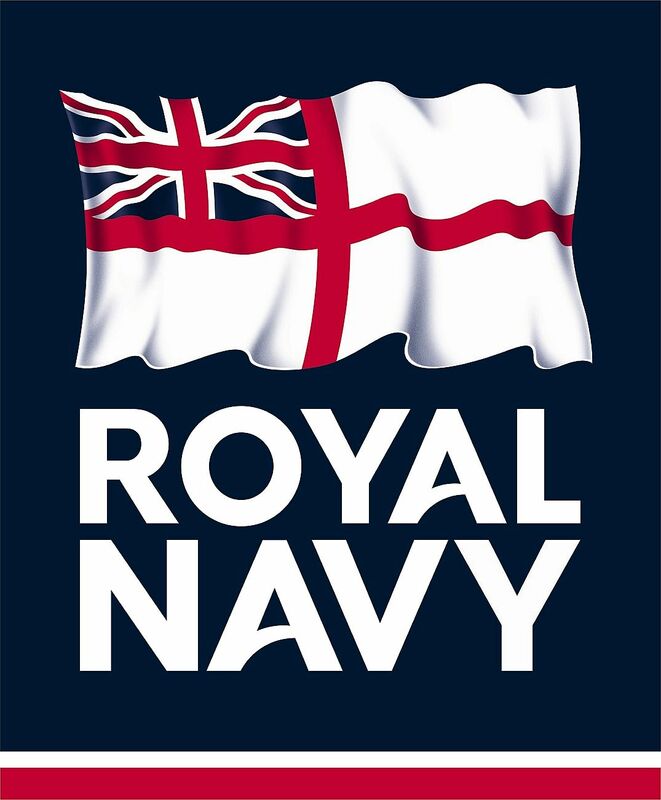 Interested in sponsoring our 2019 awards?